“Just when you think that CTeen can’t get any better, they pull this off,” shared Ben Bursk with a smile. 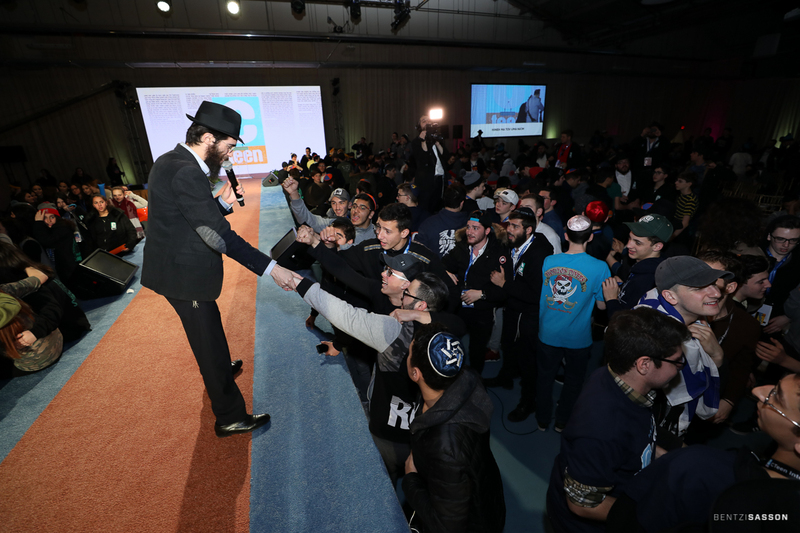 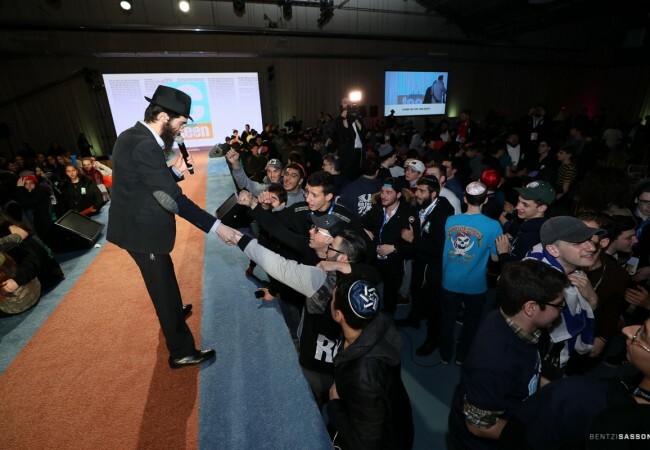 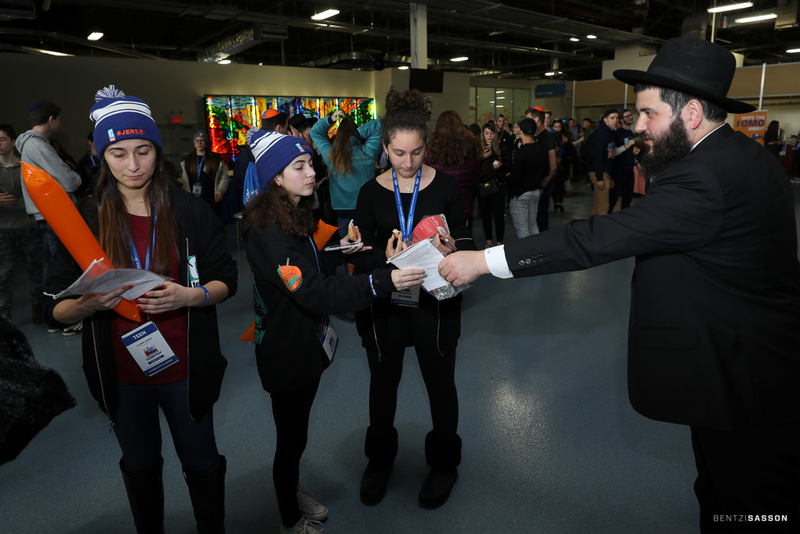 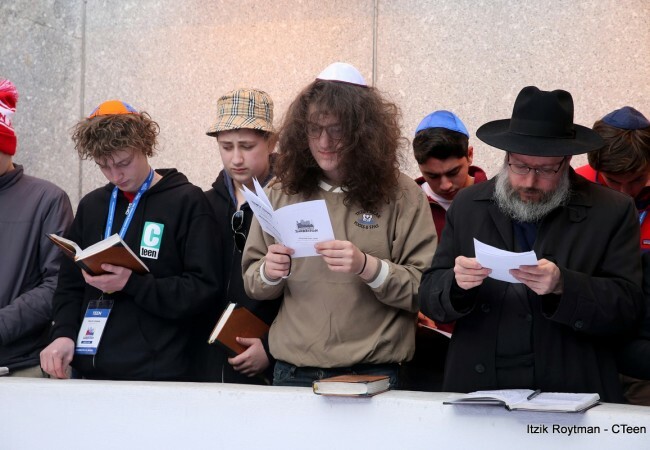 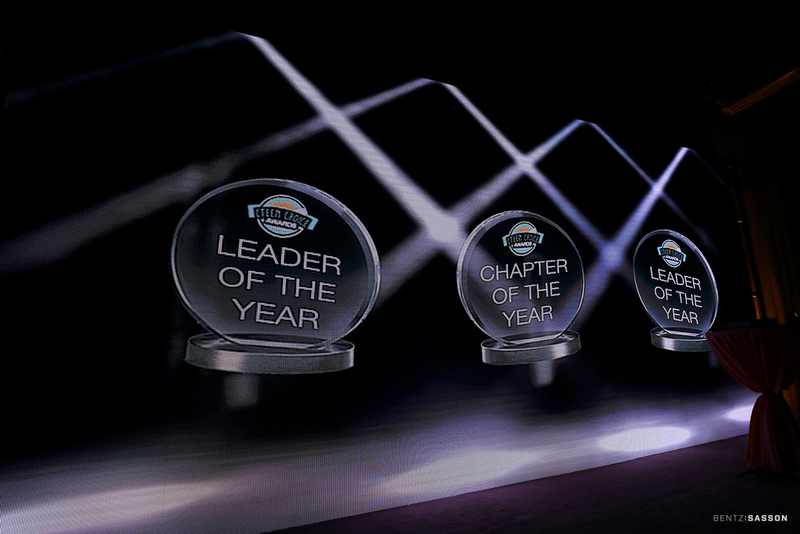 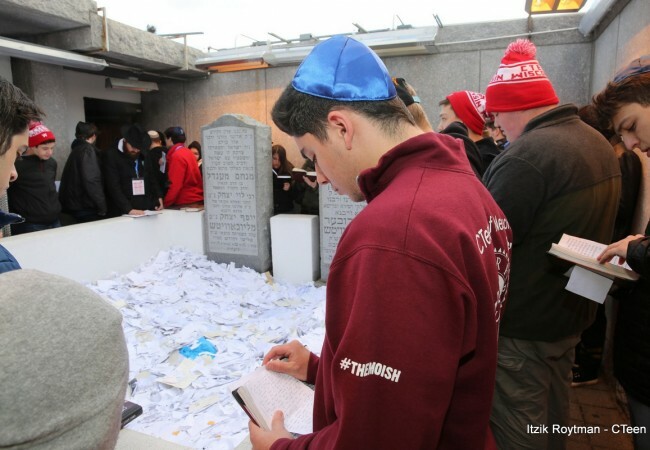 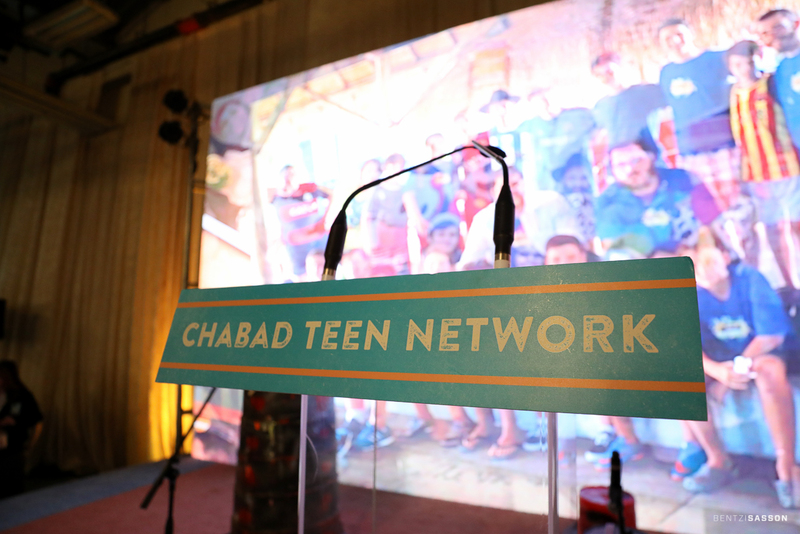 The teen president from Manchester England was referring to the 9th annual International Shabbaton, organized by the Chabad Teen Network. 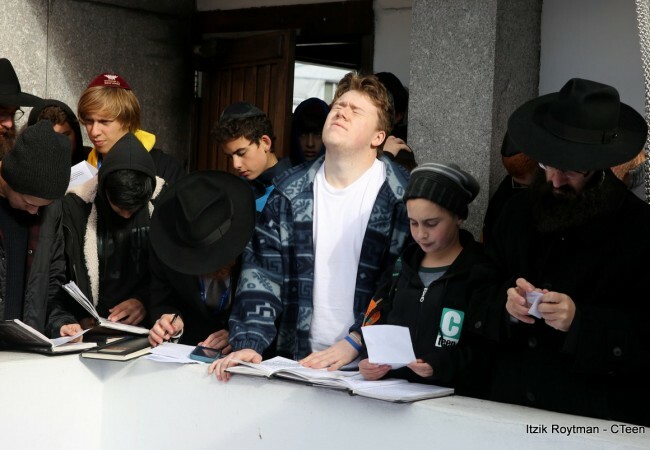 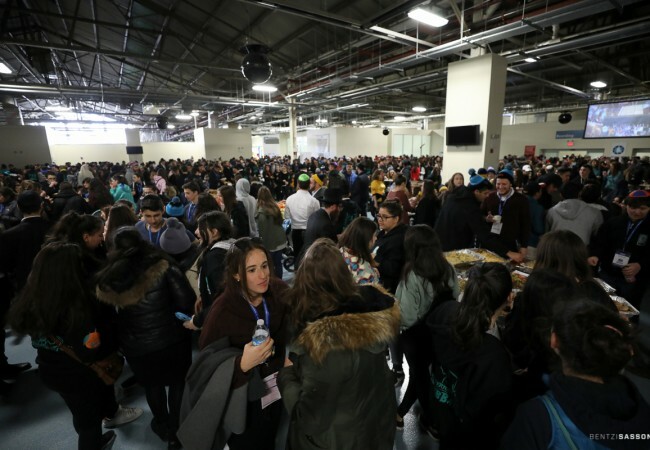 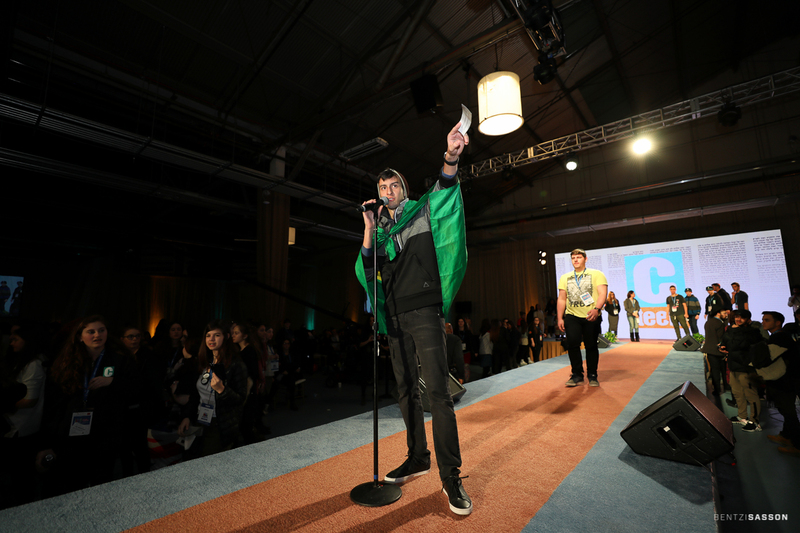 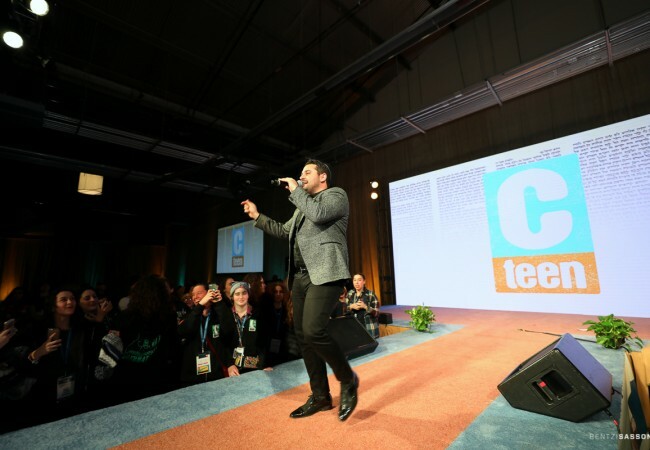 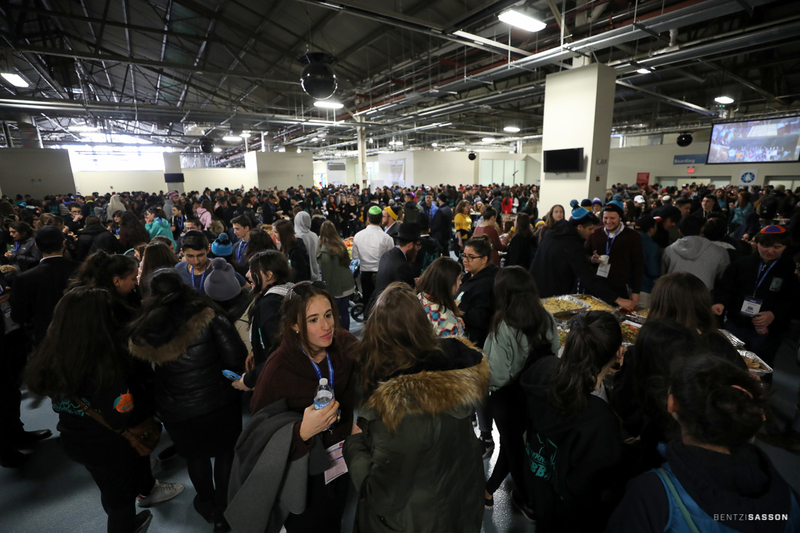 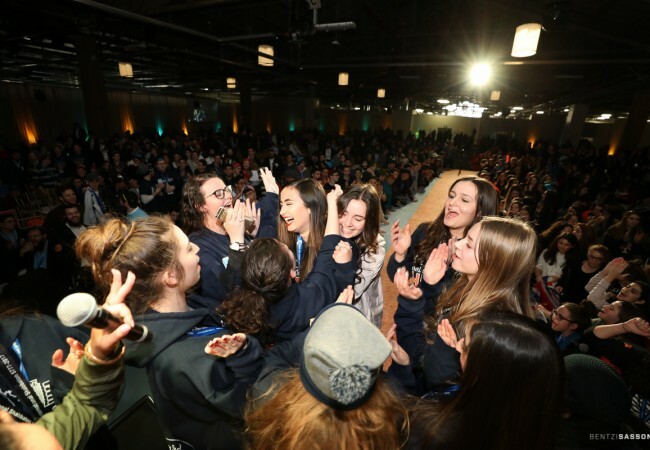 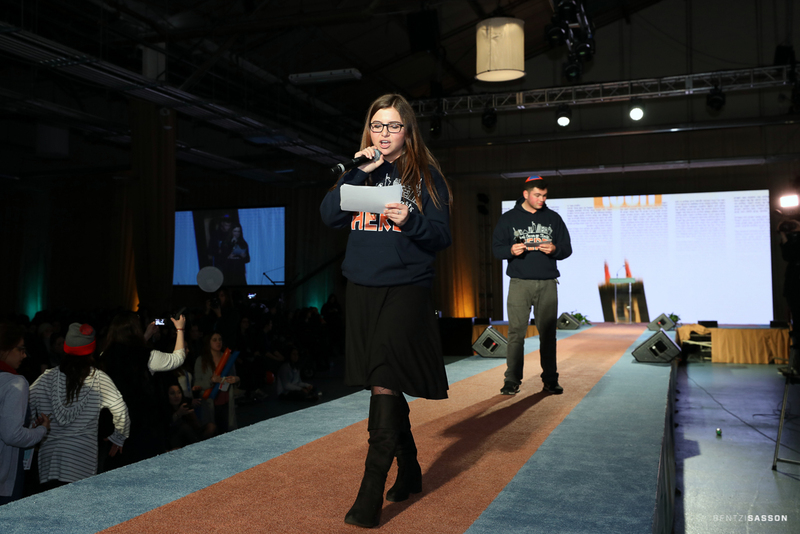 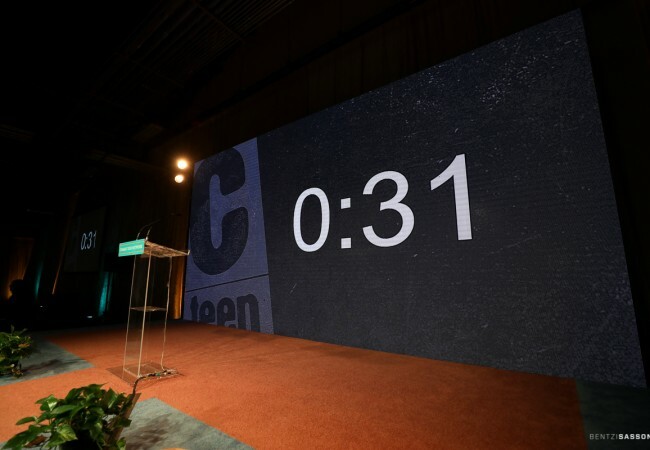 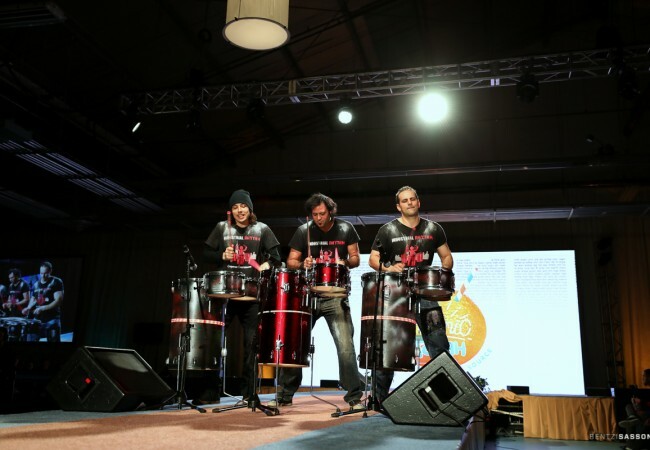 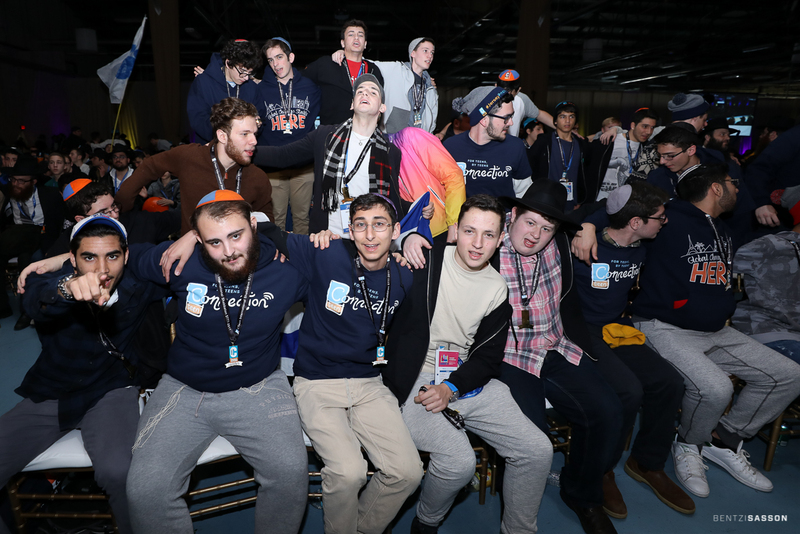 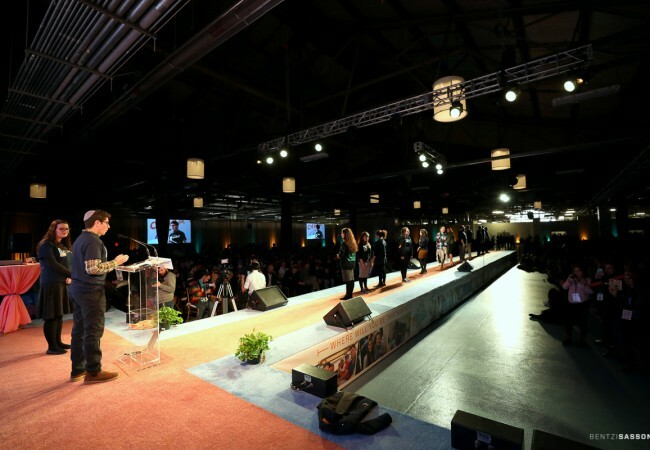 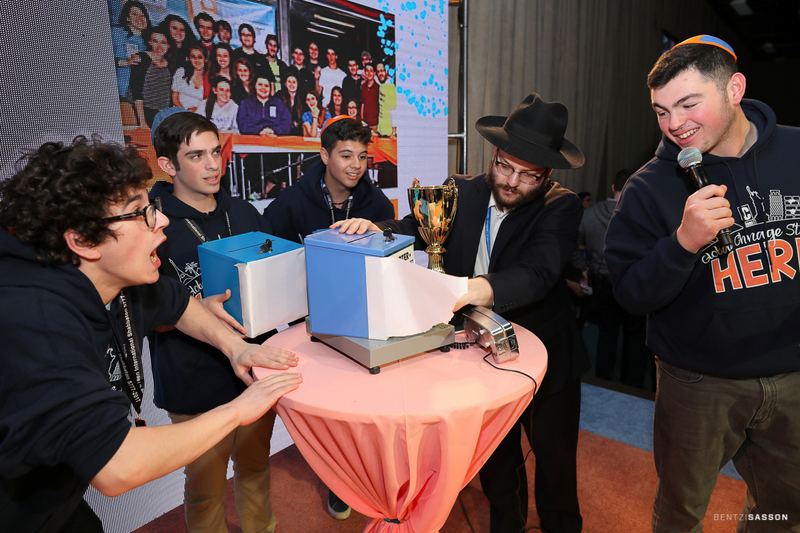 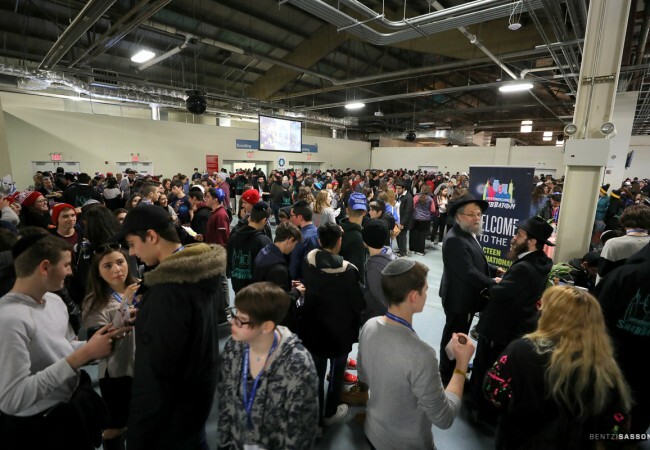 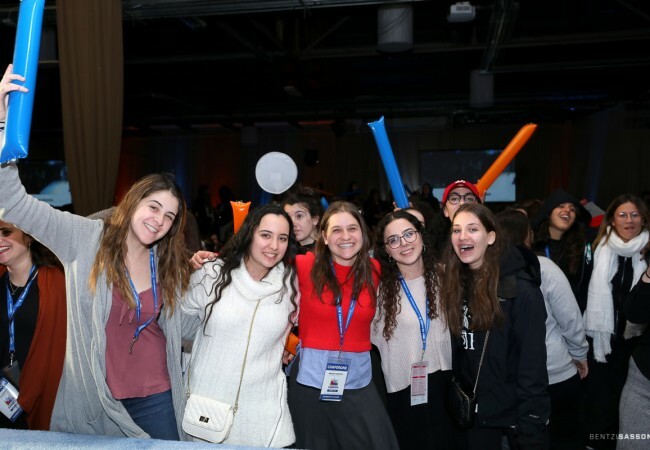 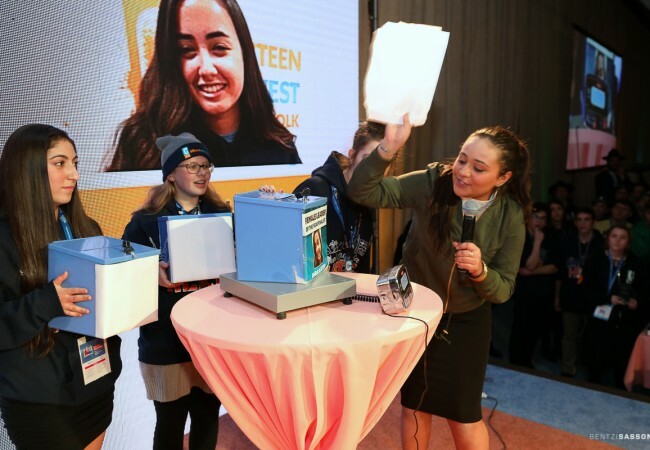 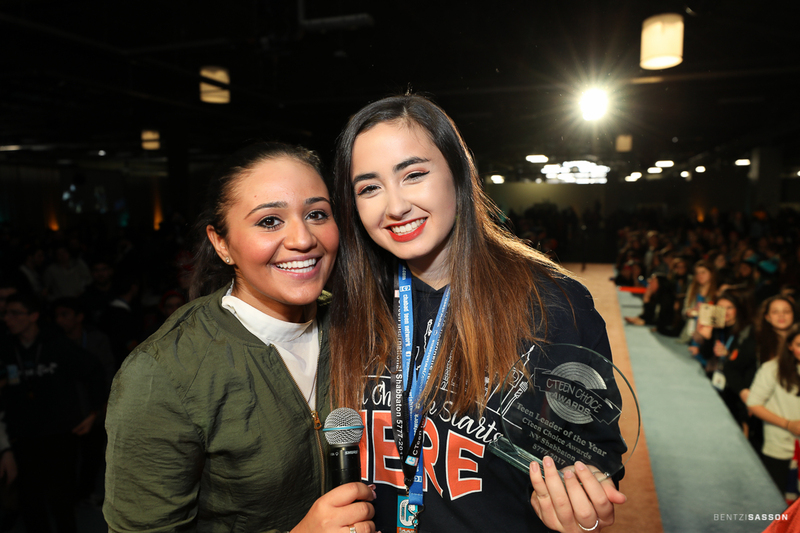 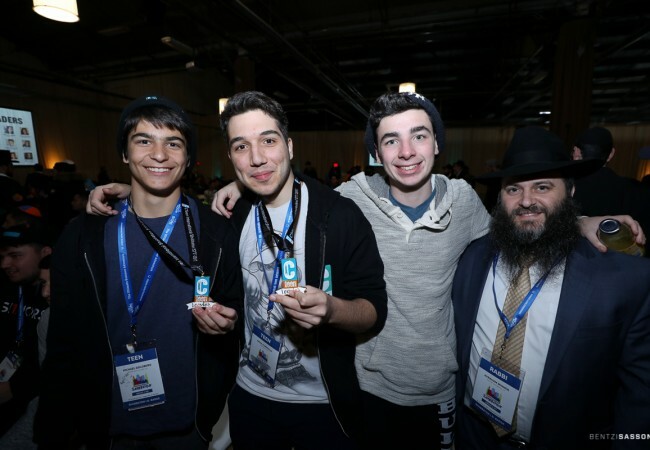 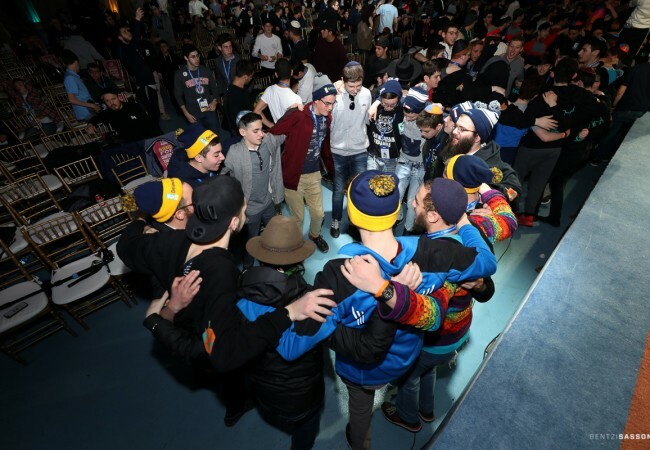 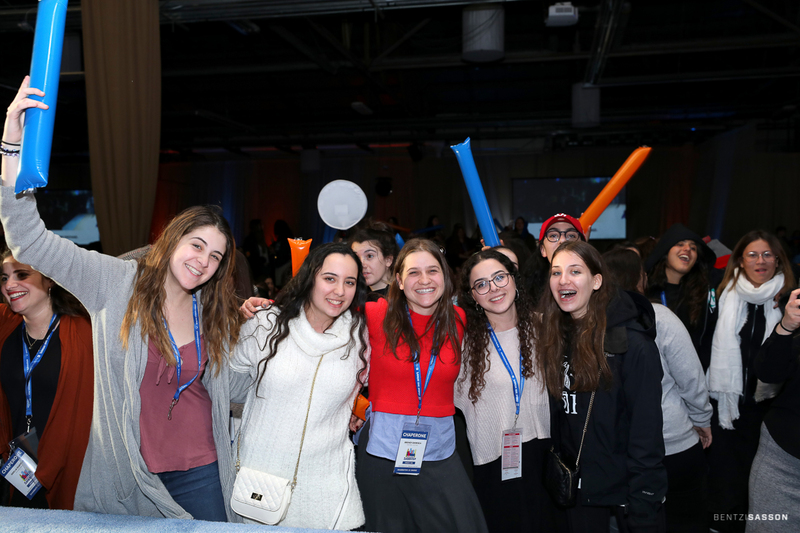 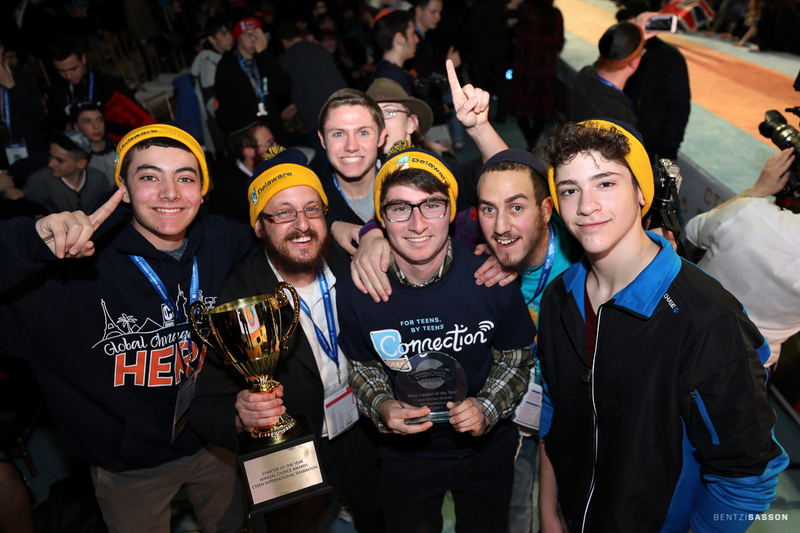 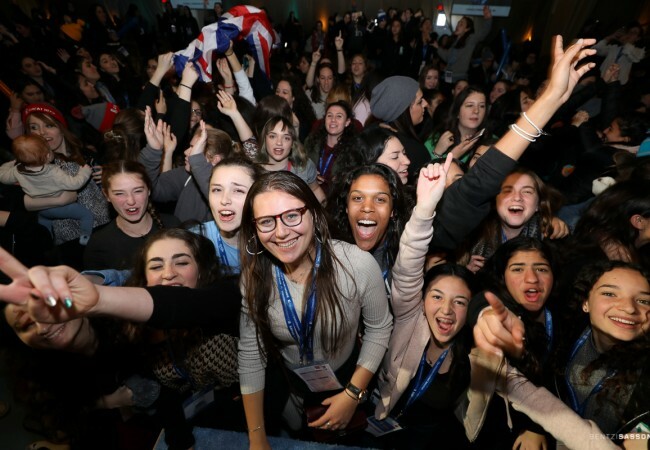 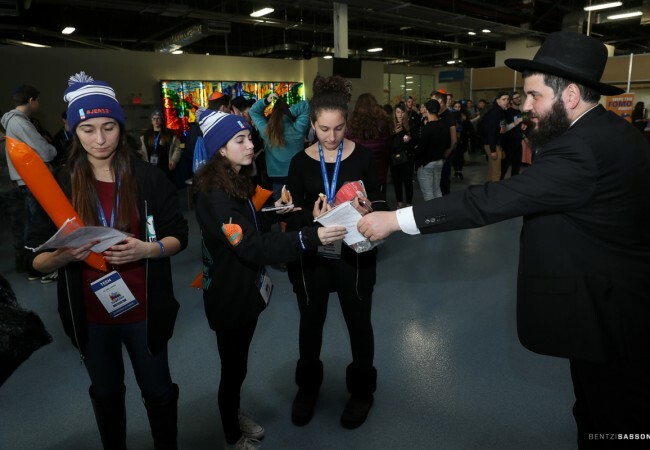 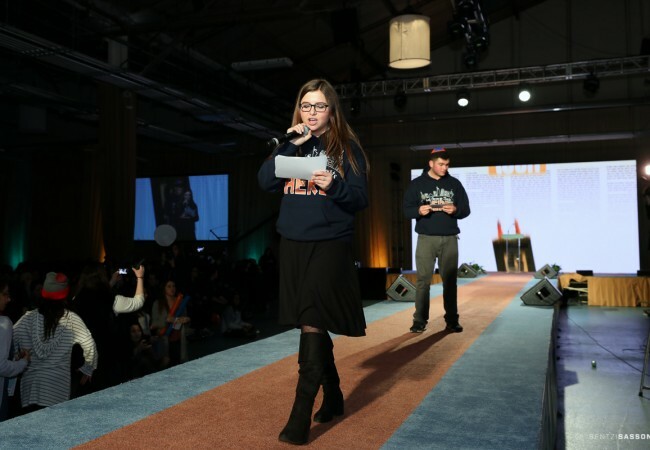 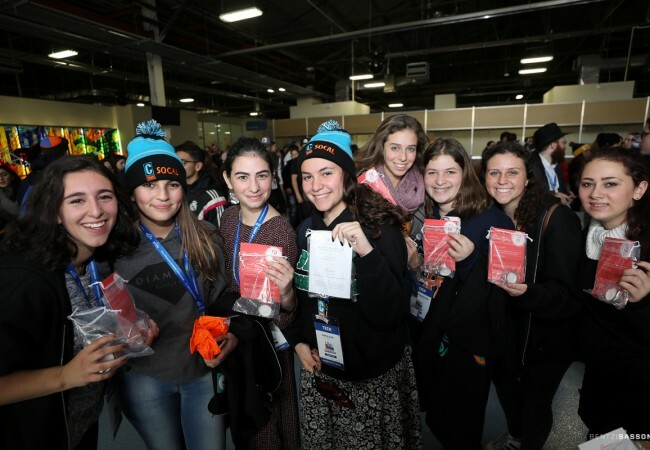 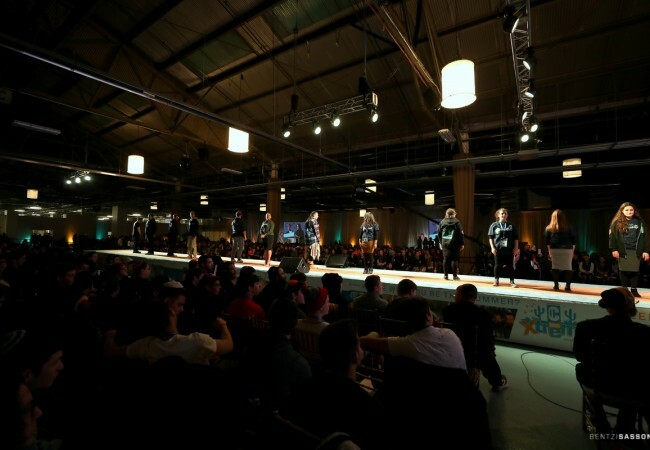 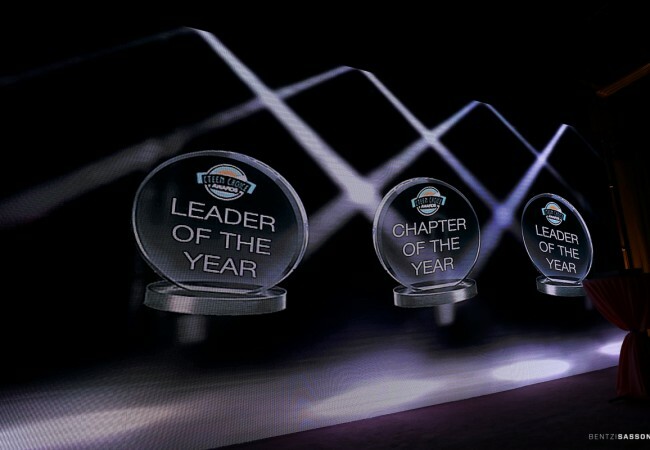 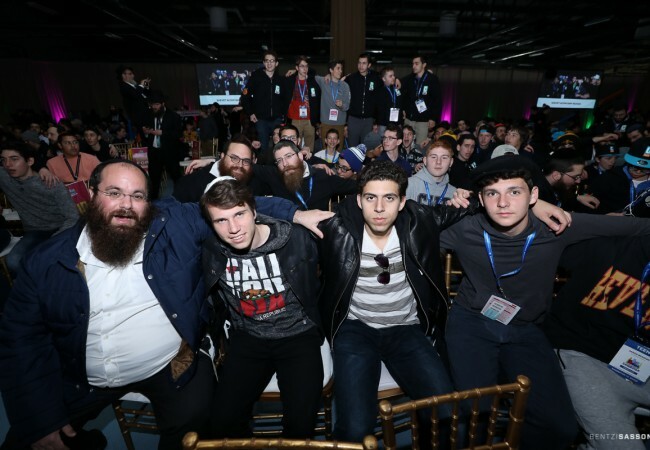 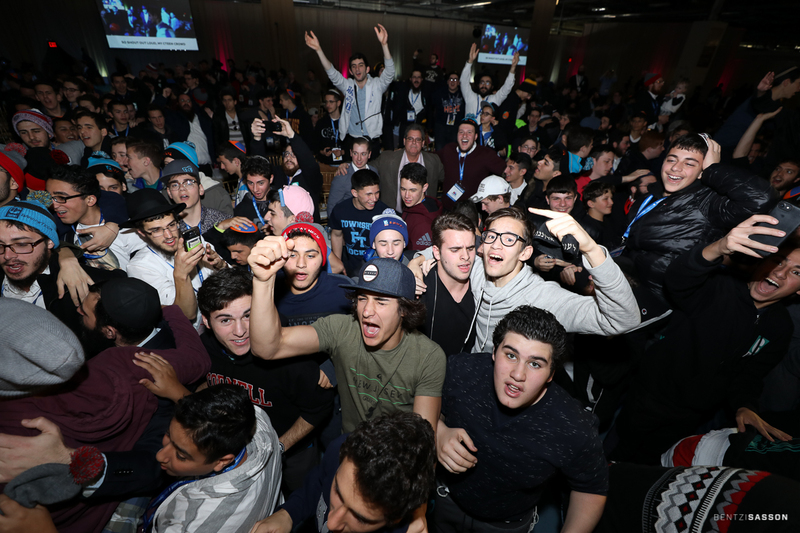 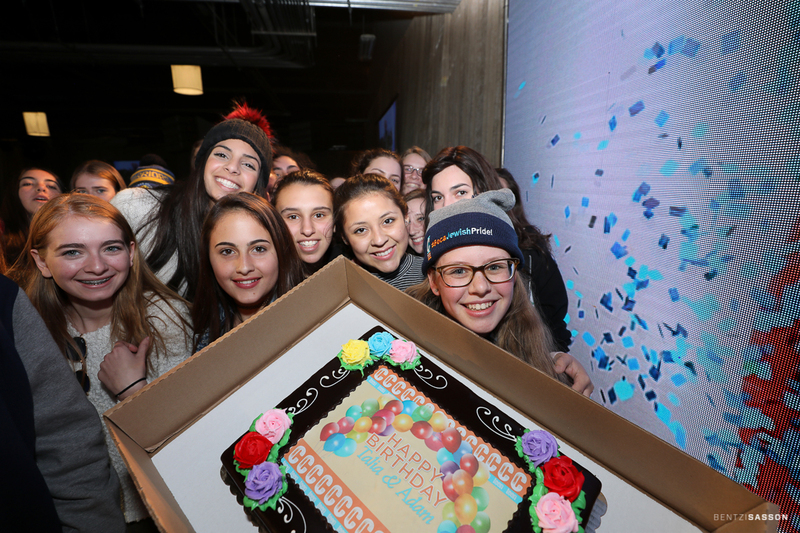 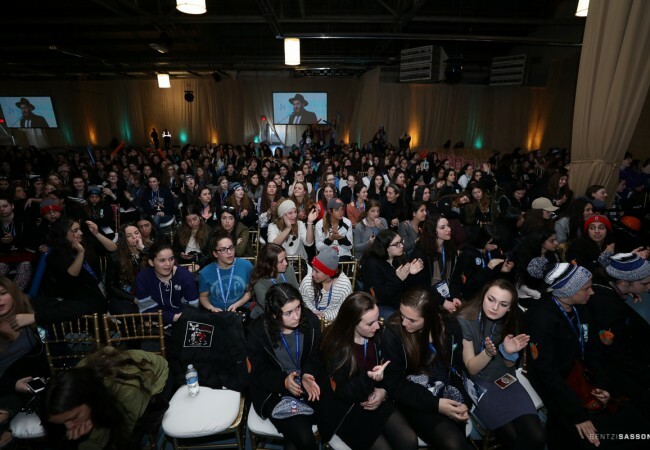 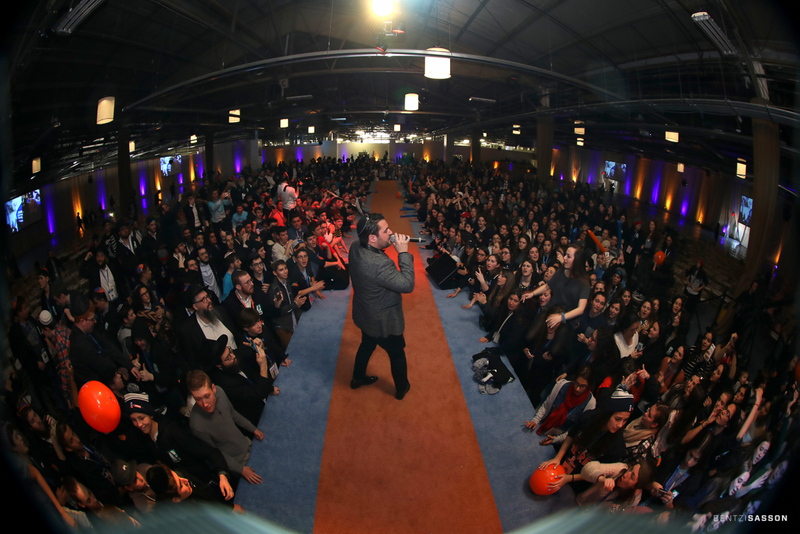 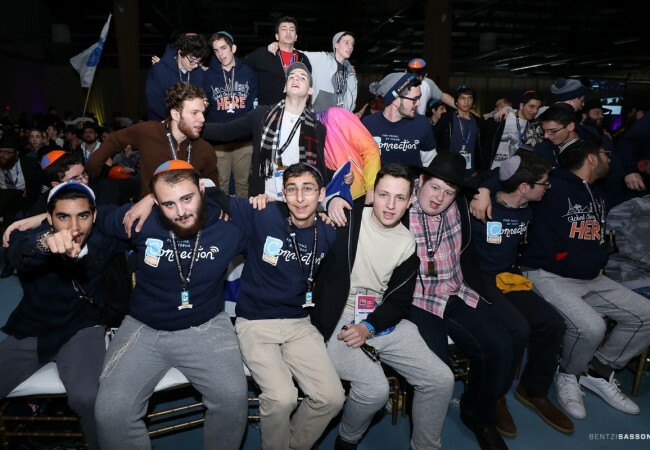 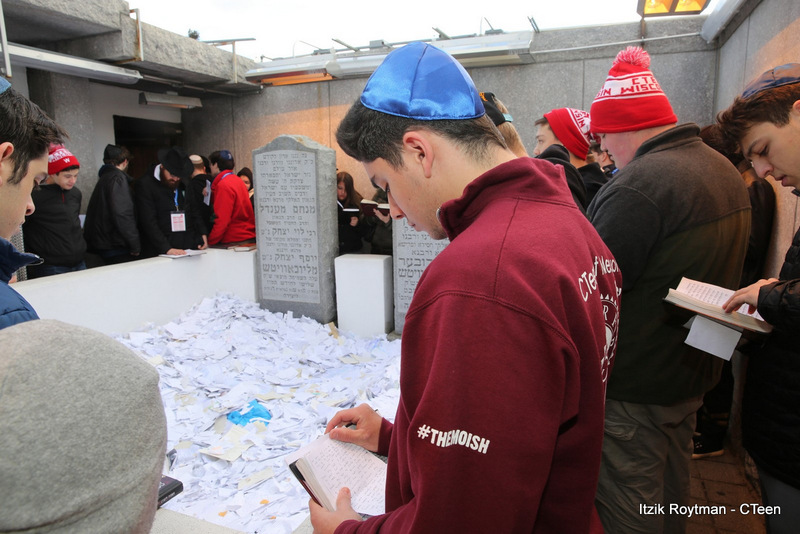 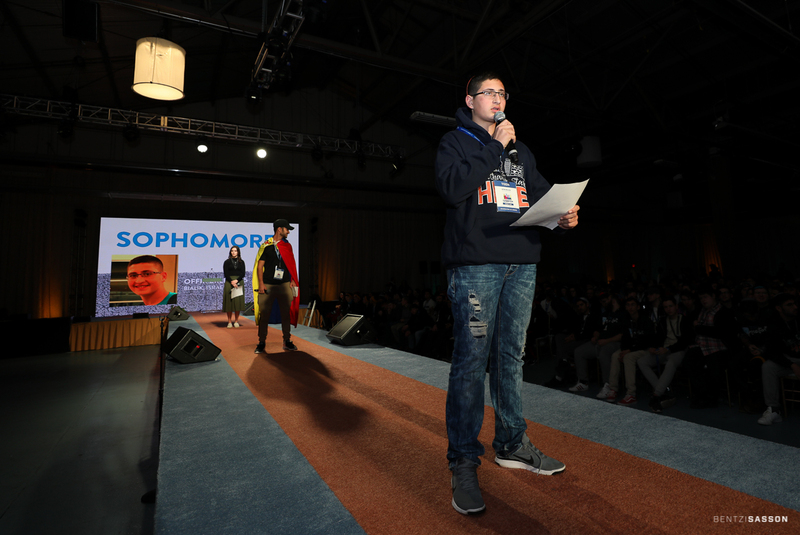 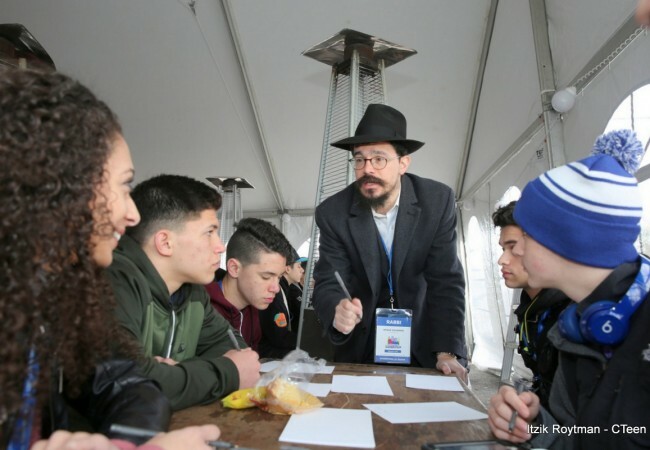 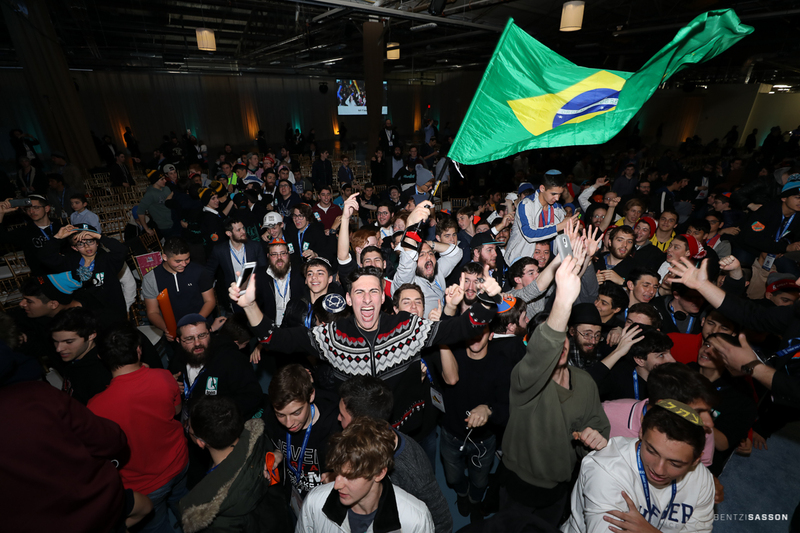 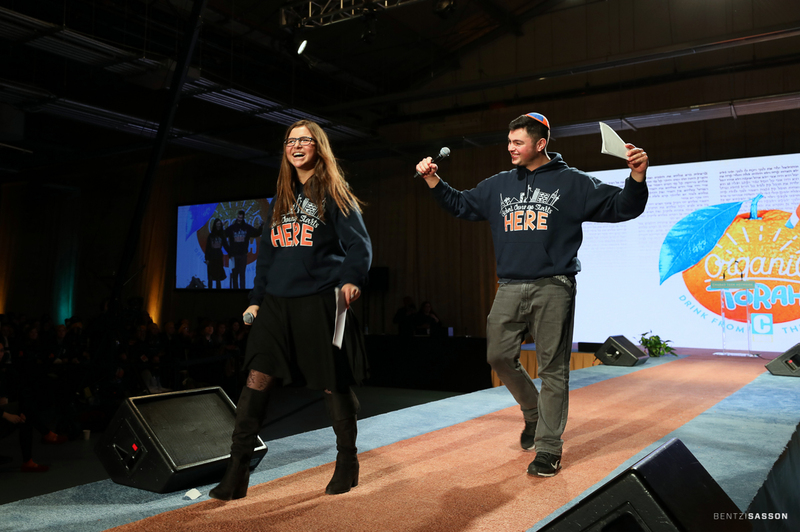 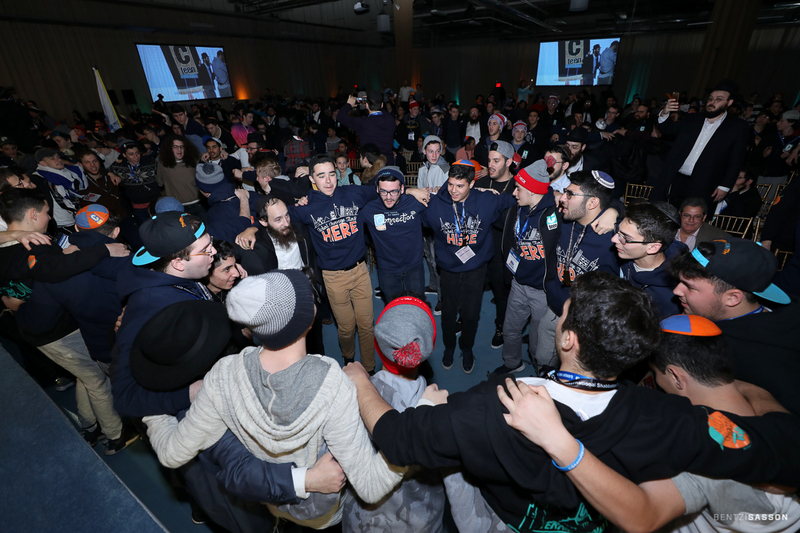 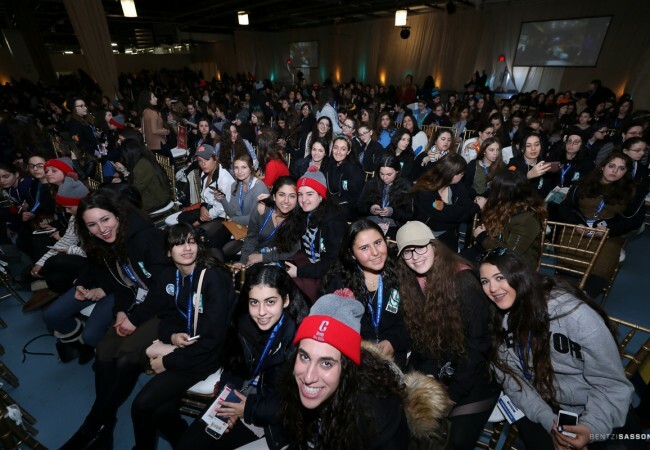 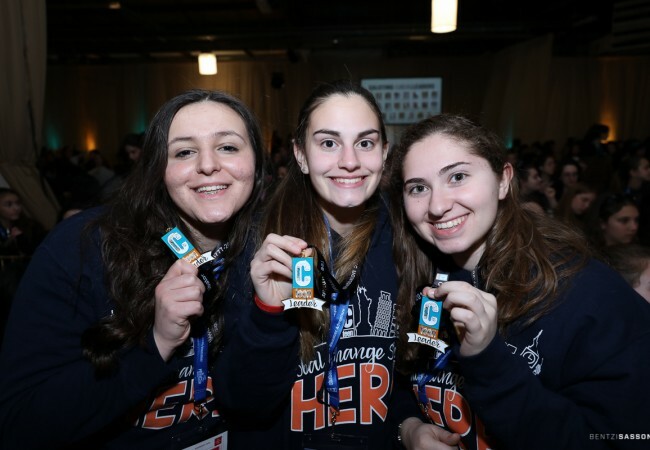 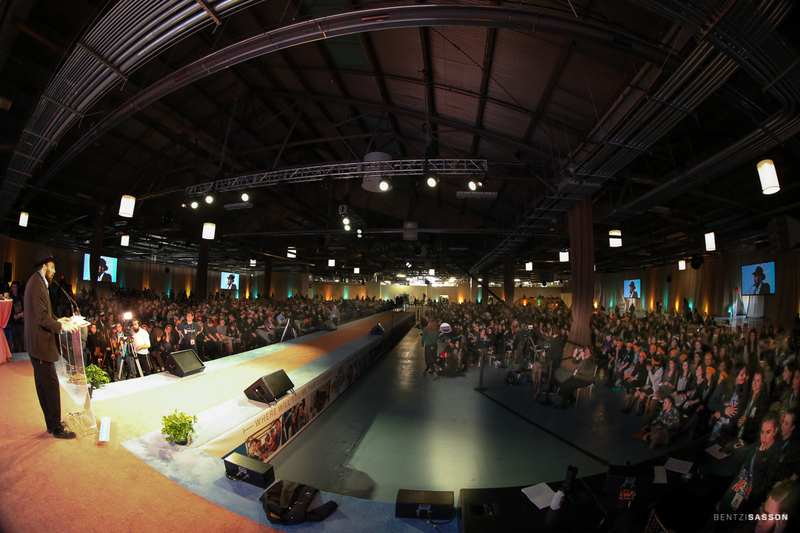 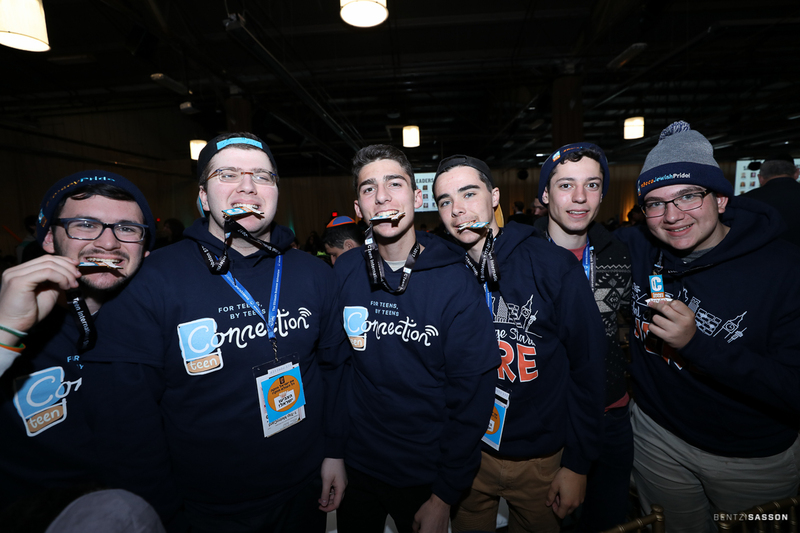 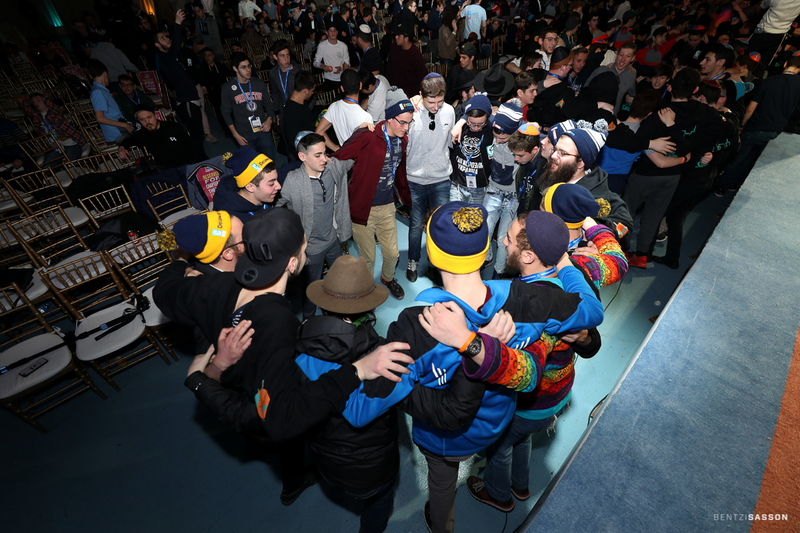 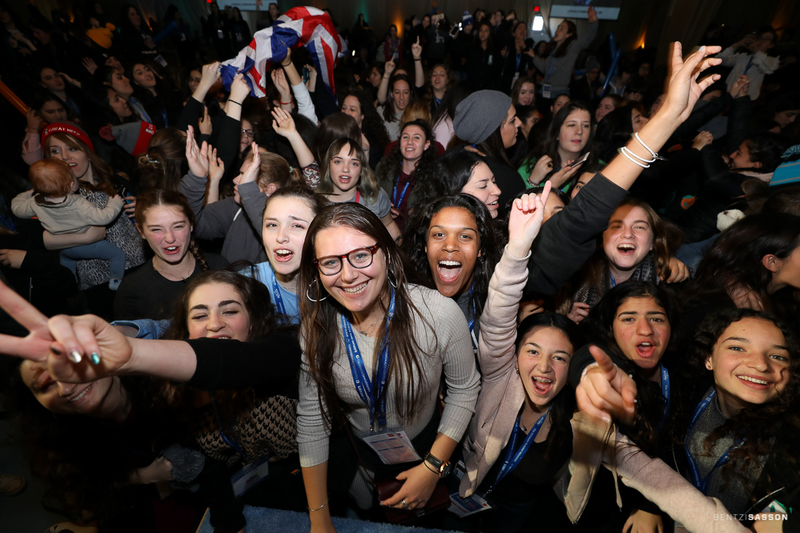 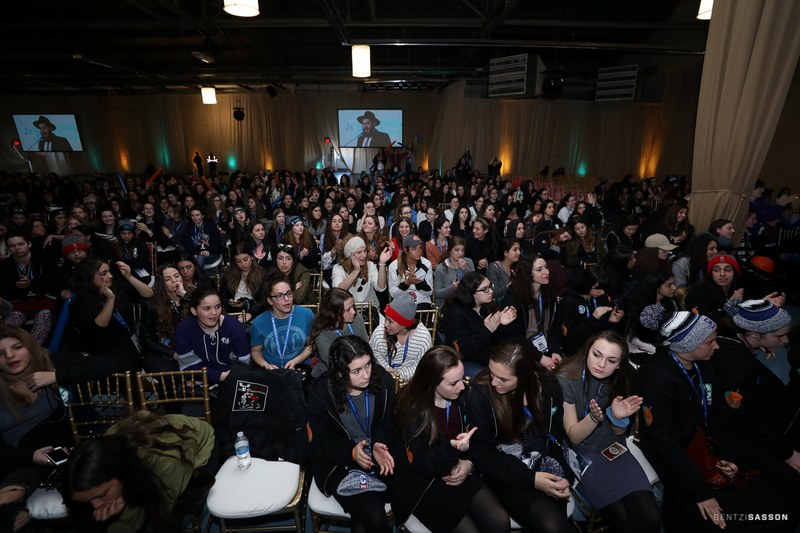 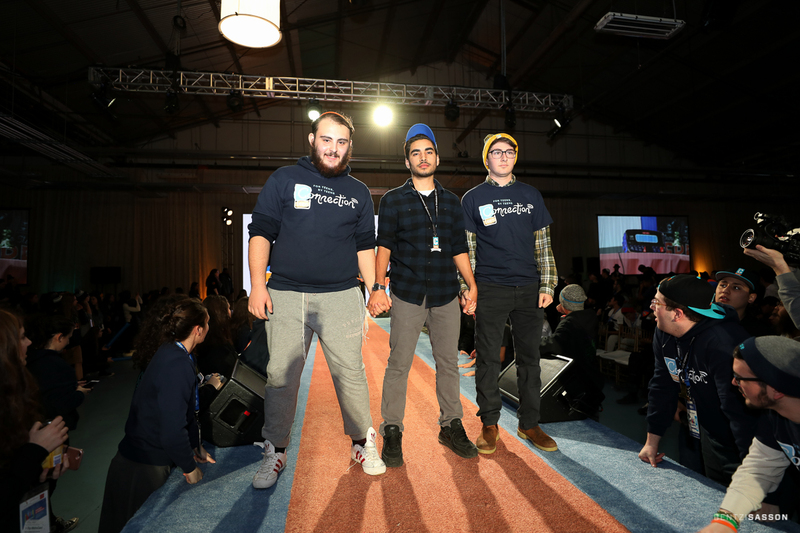 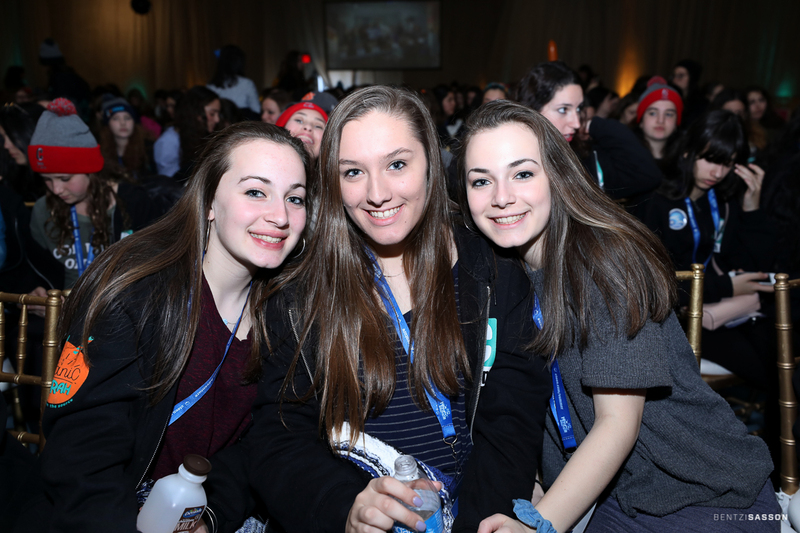 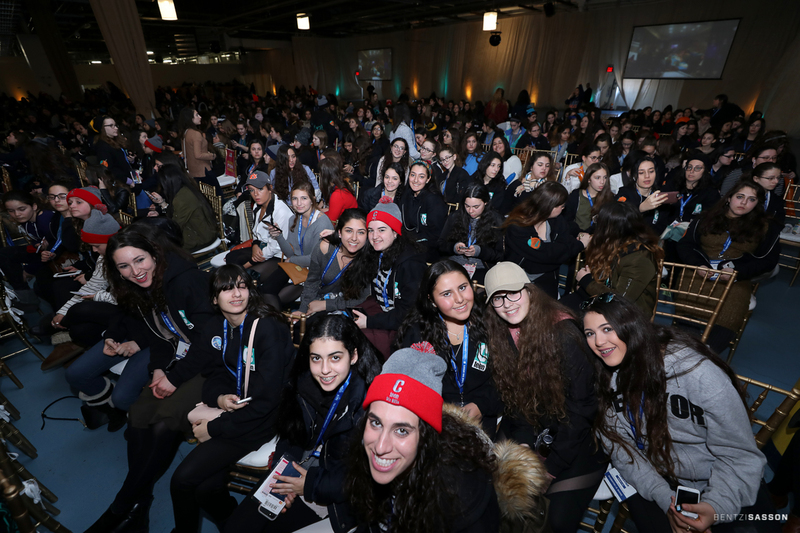 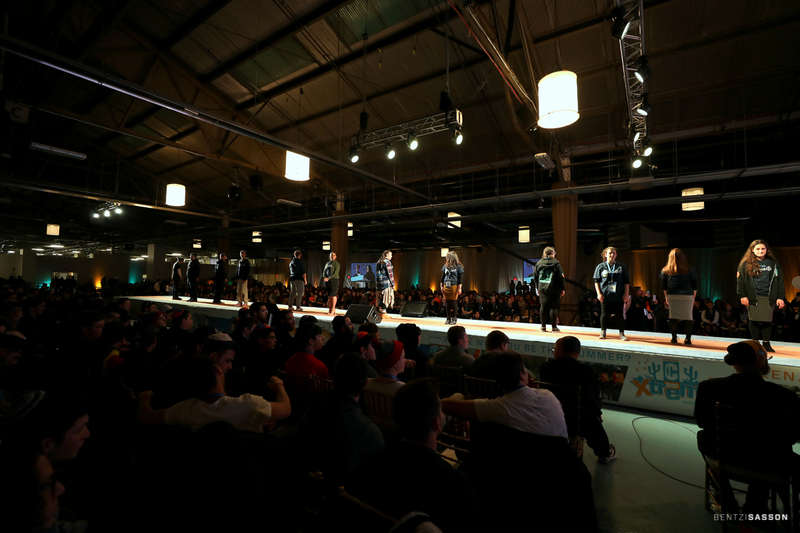 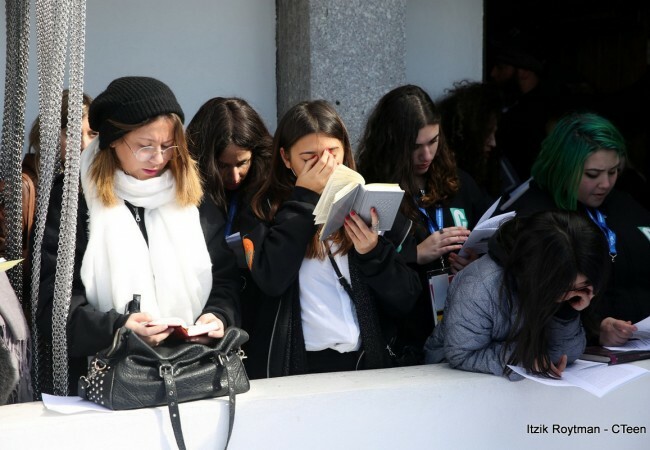 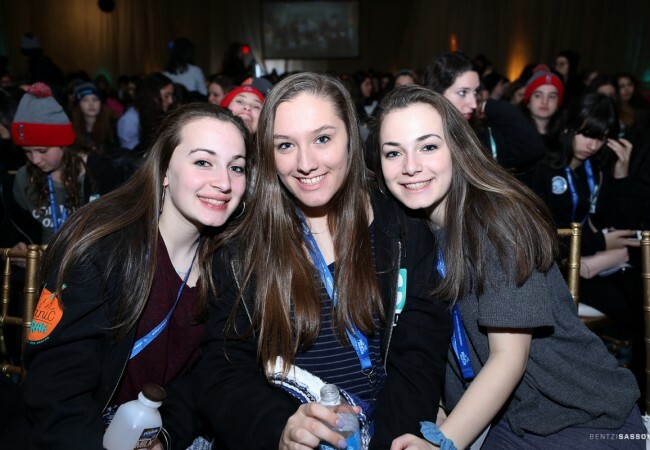 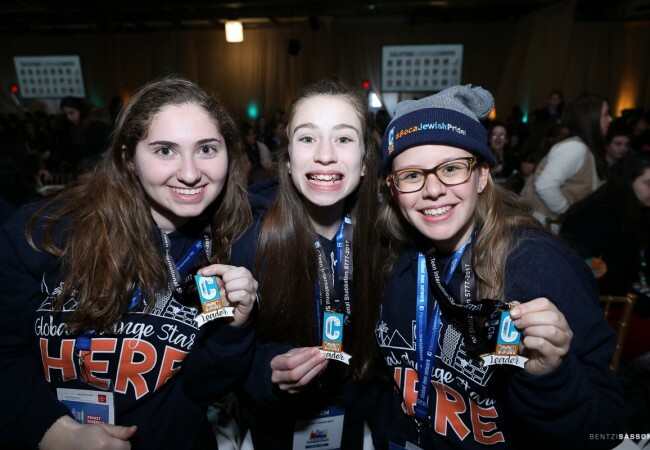 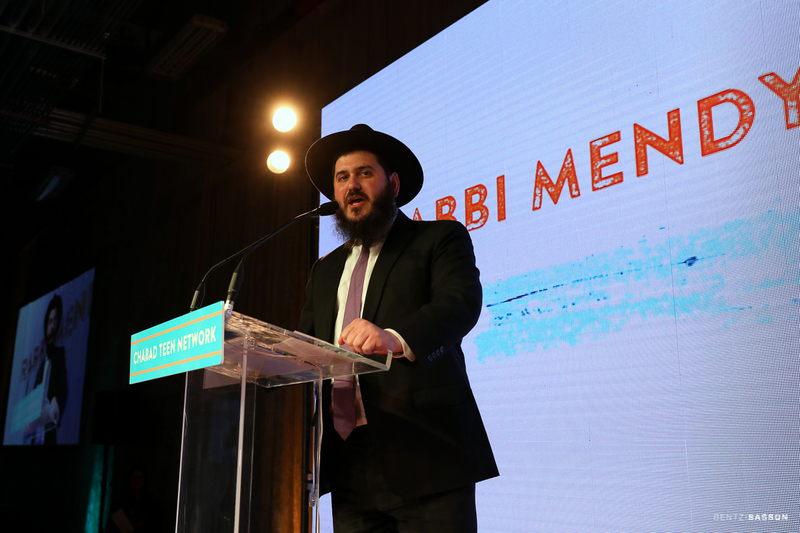 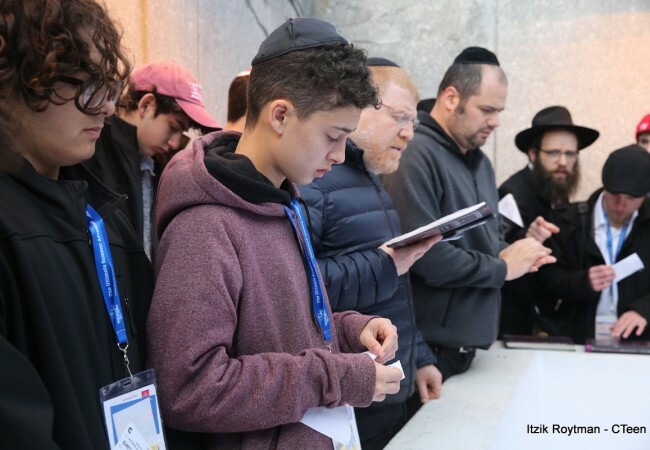 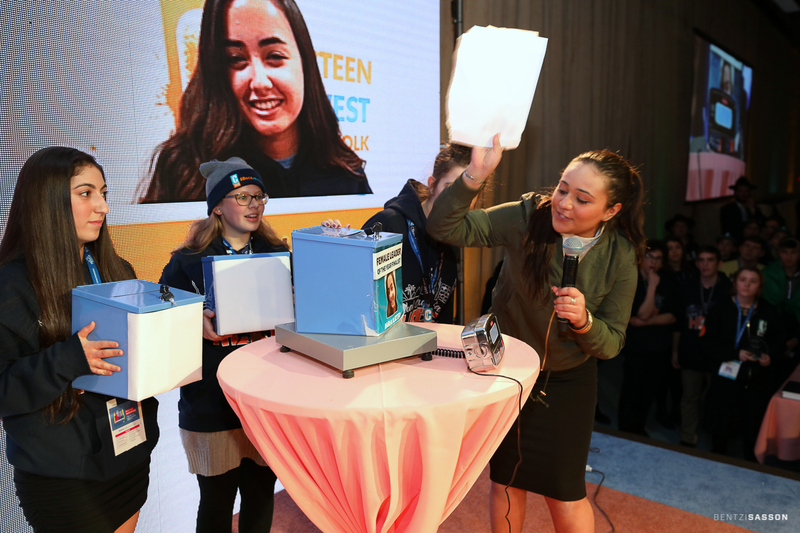 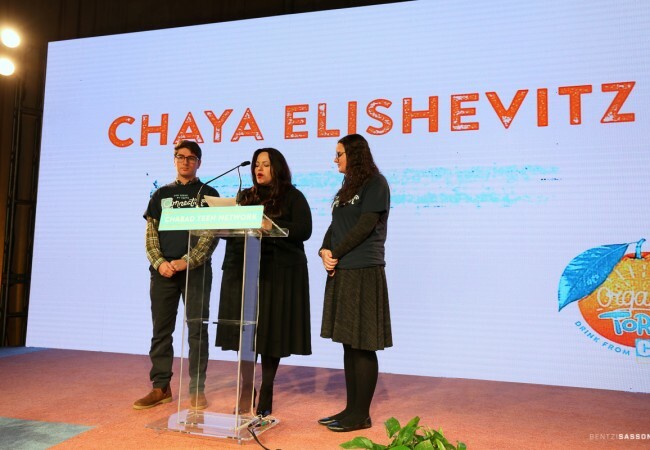 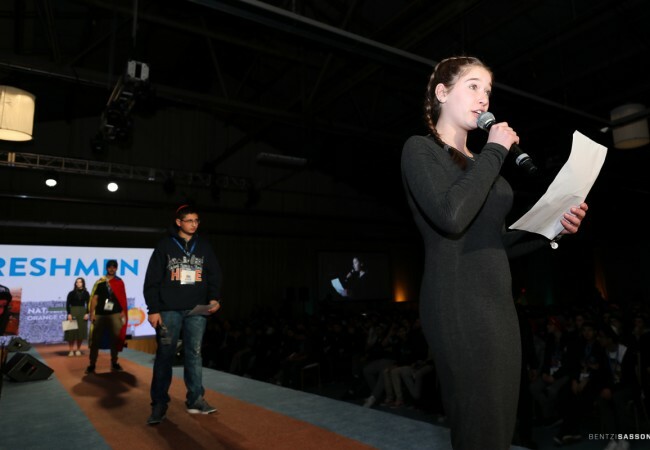 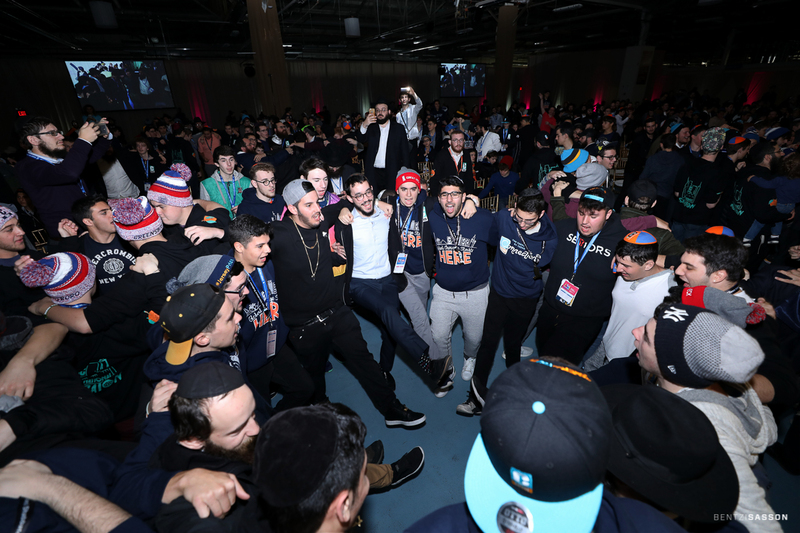 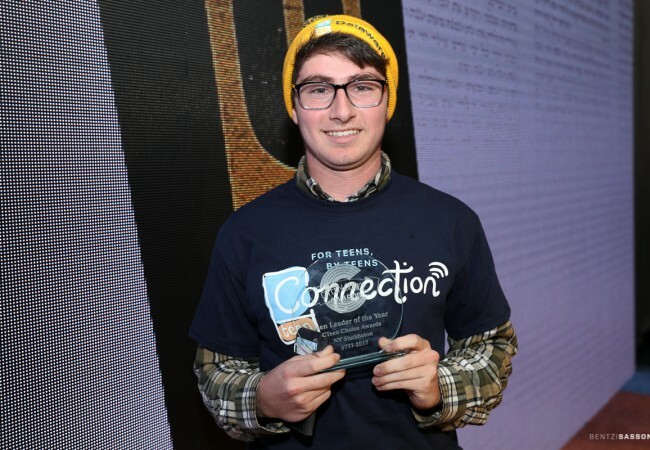 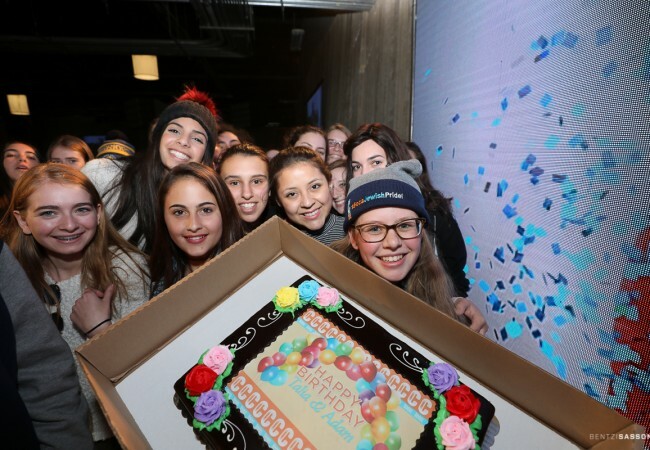 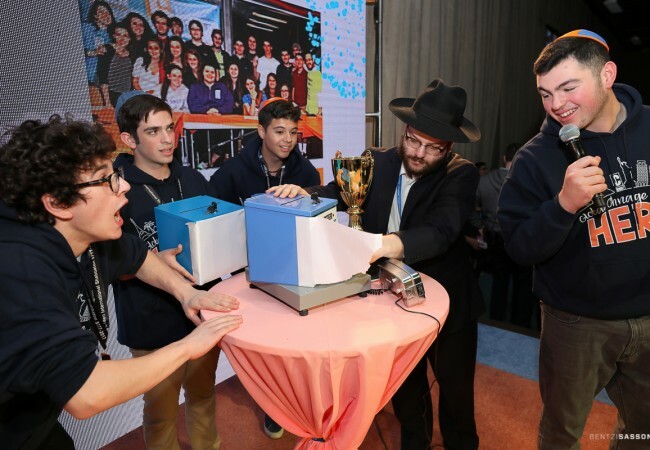 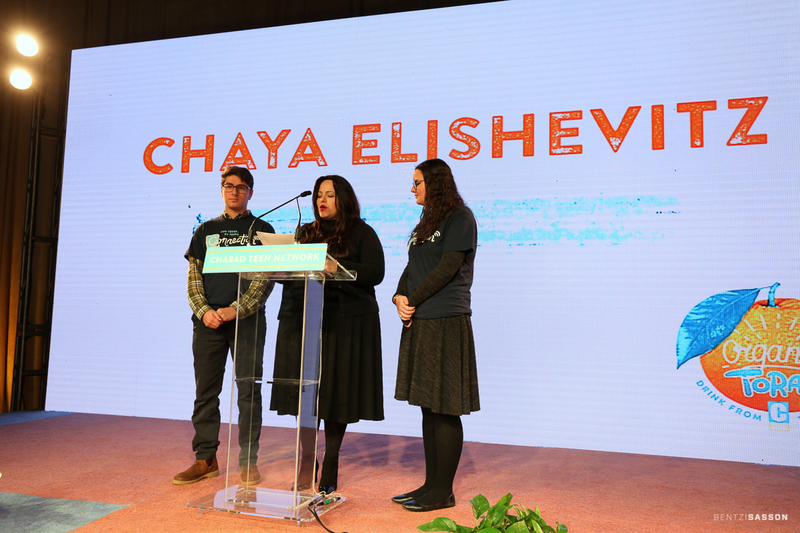 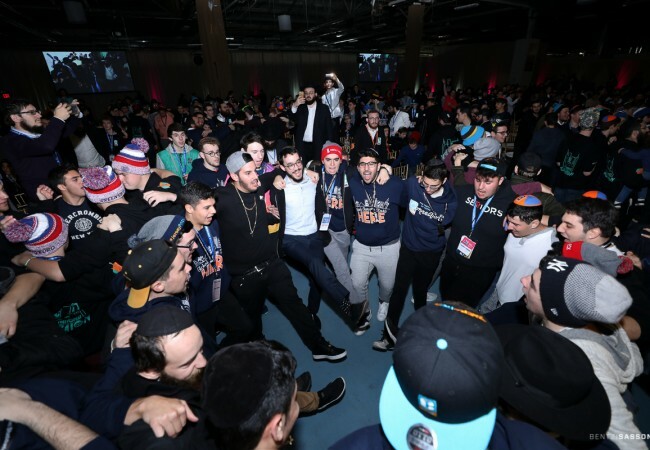 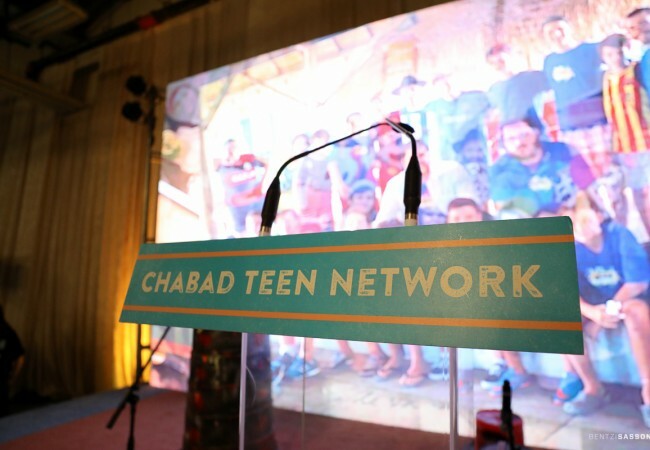 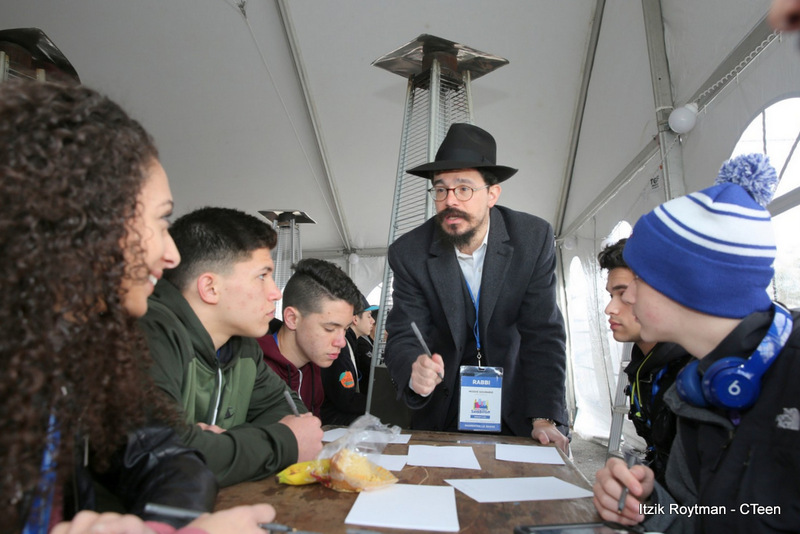 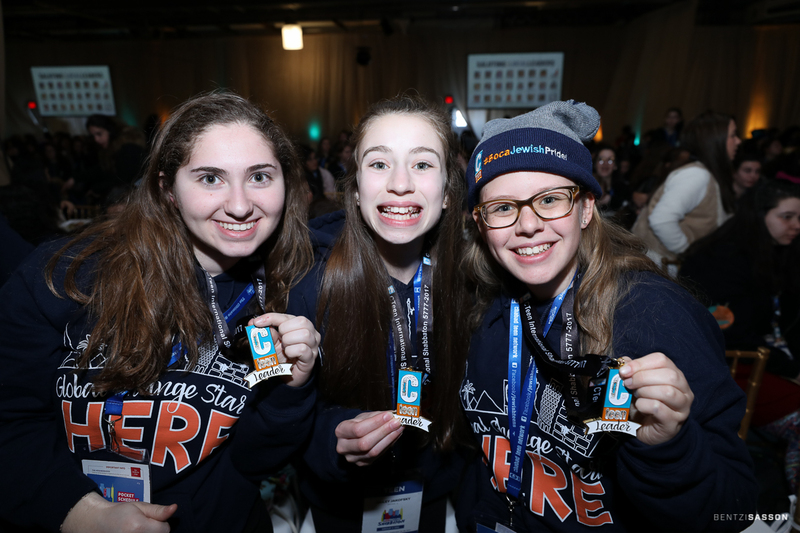 CTeen, the fastest growing and most diverse Jewish youth organization in the world, hosted a four day event in New York, which drew in a record breaking twenty-three hundred people. 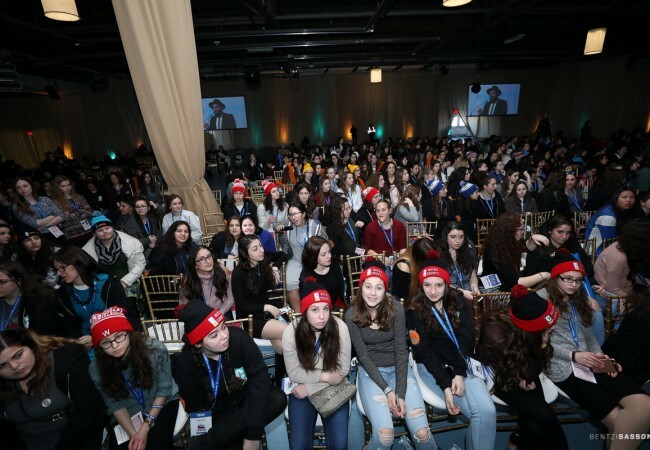 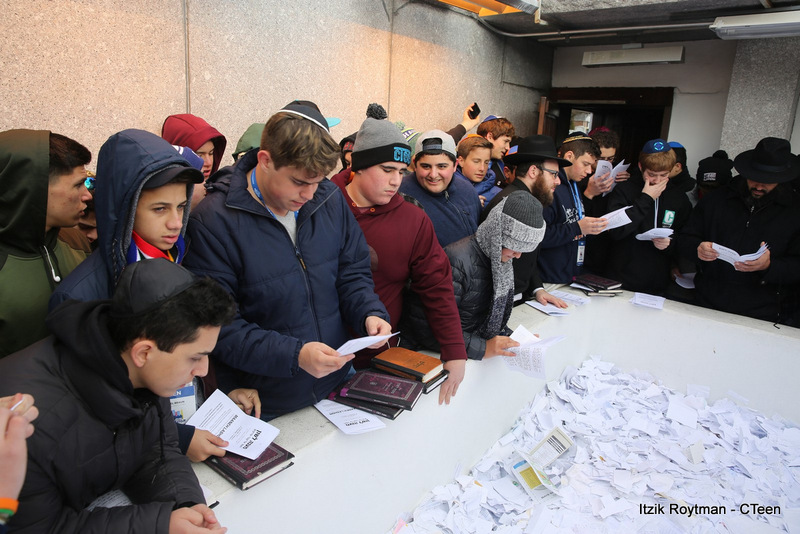 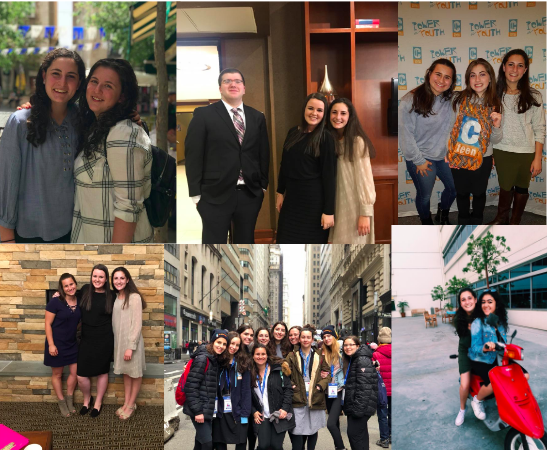 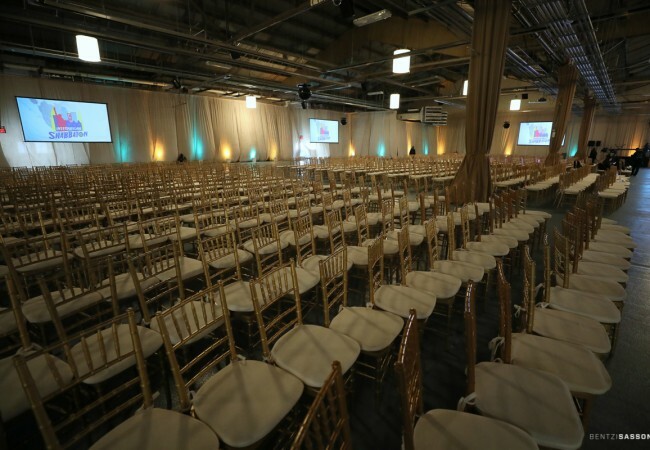 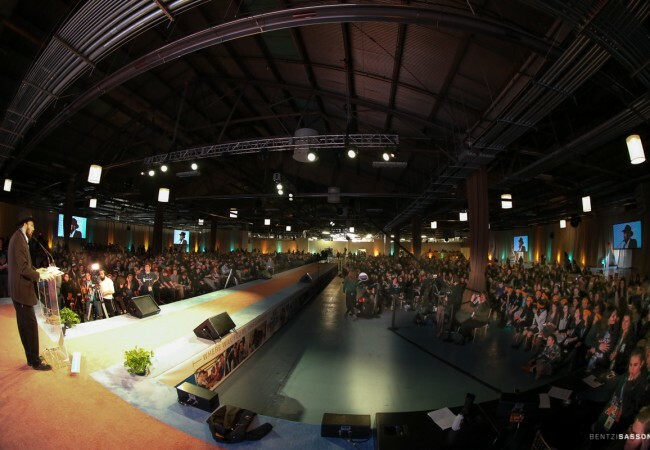 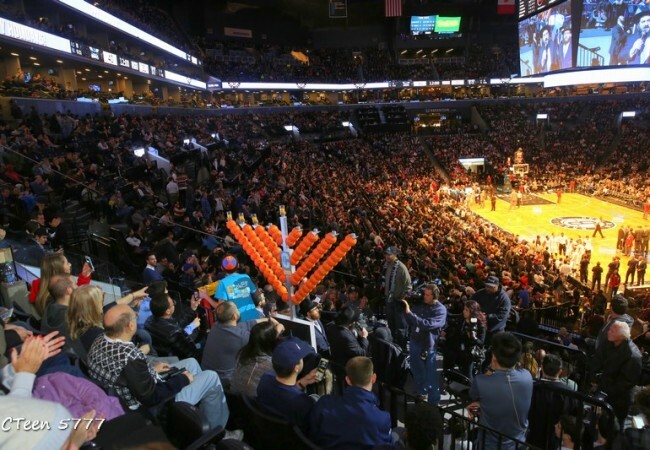 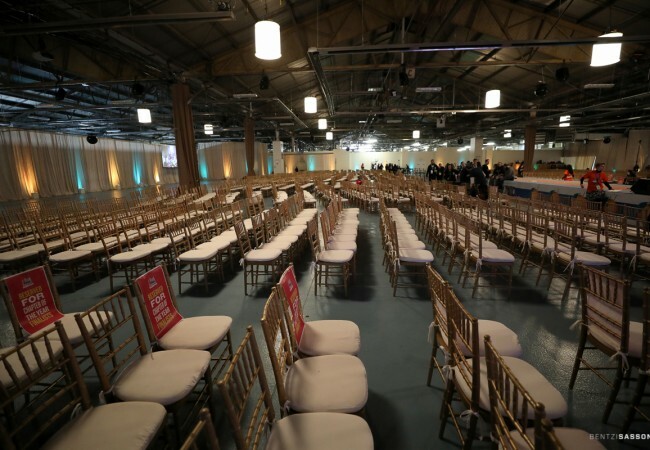 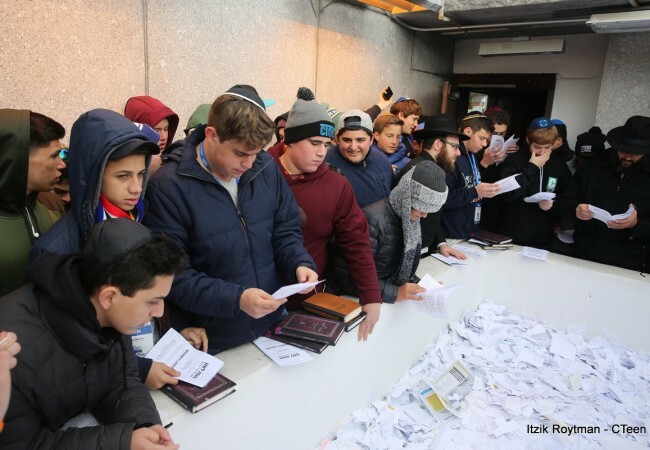 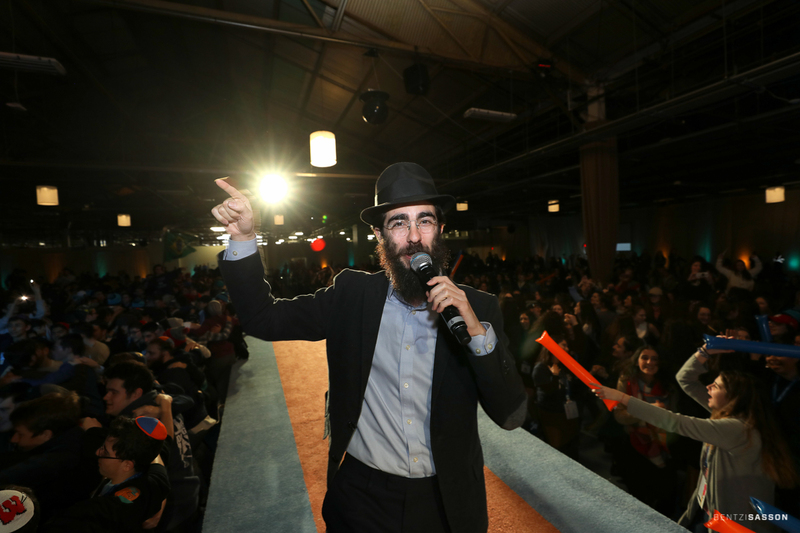 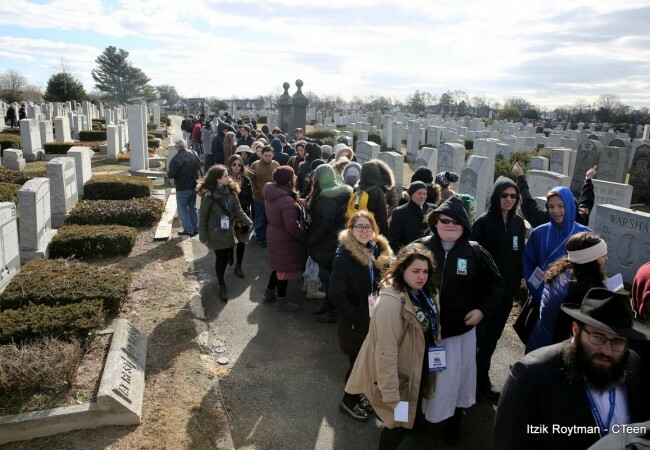 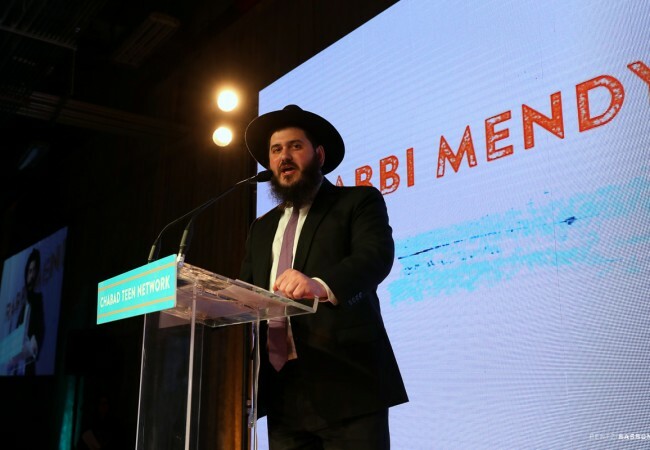 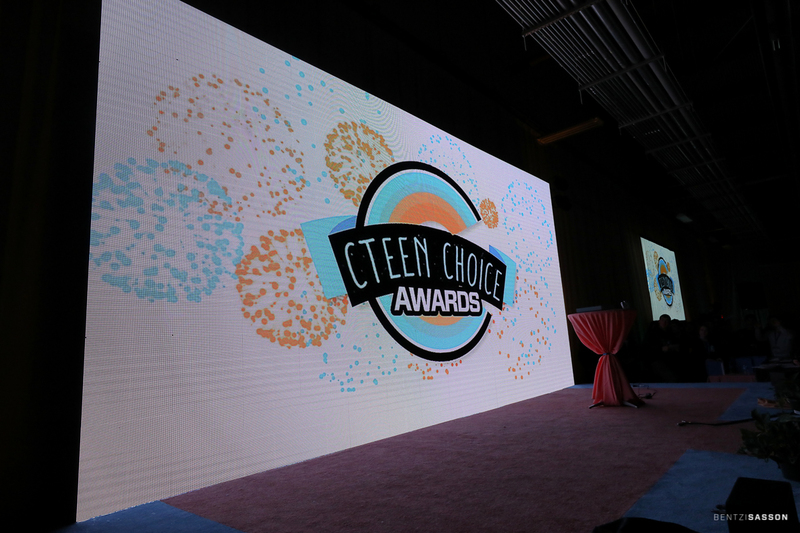 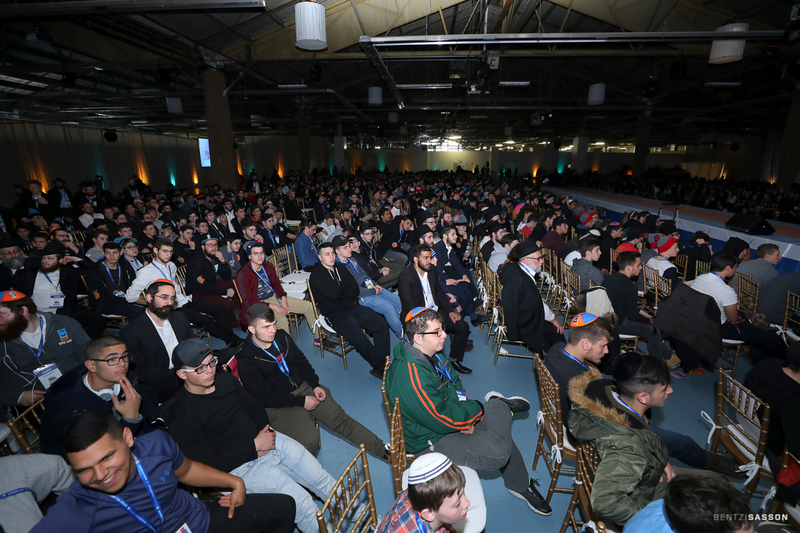 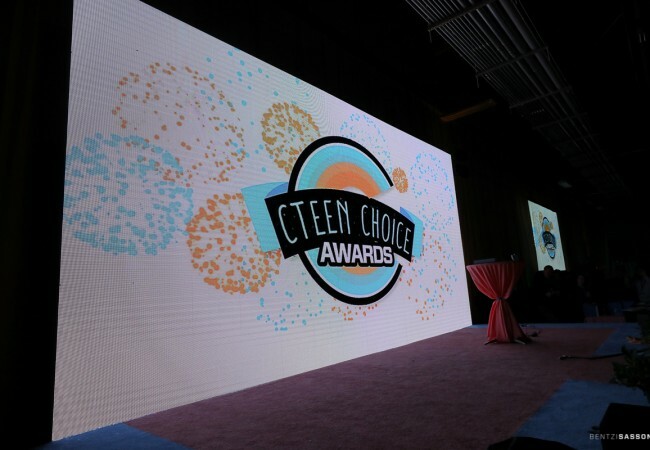 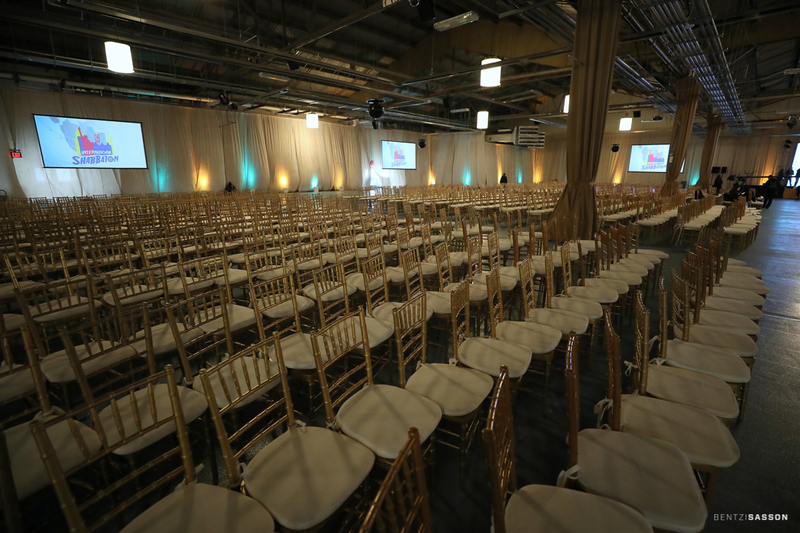 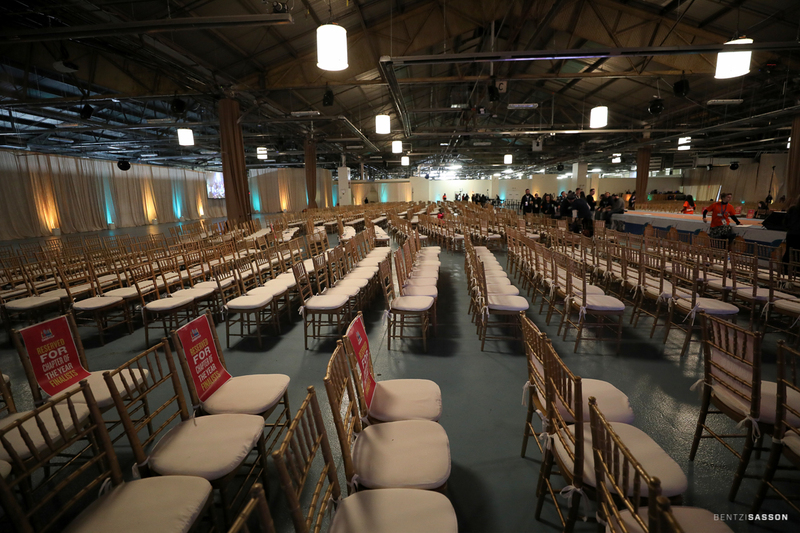 The jam packed weekend included an authentic Shabbat experience in the heart of Crown Heights, Havdalah and a live concert in Times Square, and the CTeen Choice Awards which took place at Brooklyn’s illustrious Pier 12. 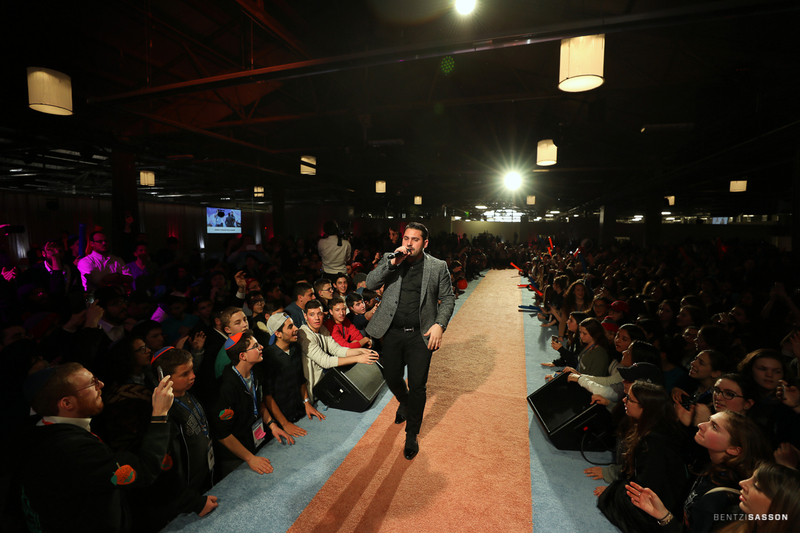 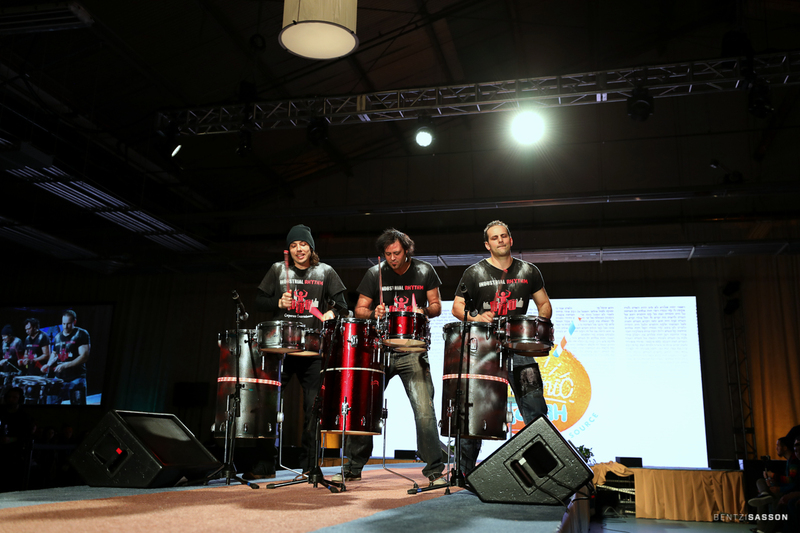 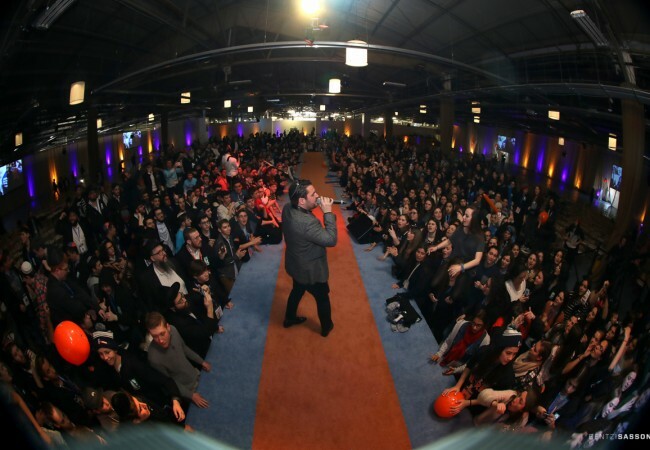 Additionally, teens were treated to a surprise concert by Israeli superstar Gad Elbaz. Friday night and motzei Shabbat activities were separated by gender. 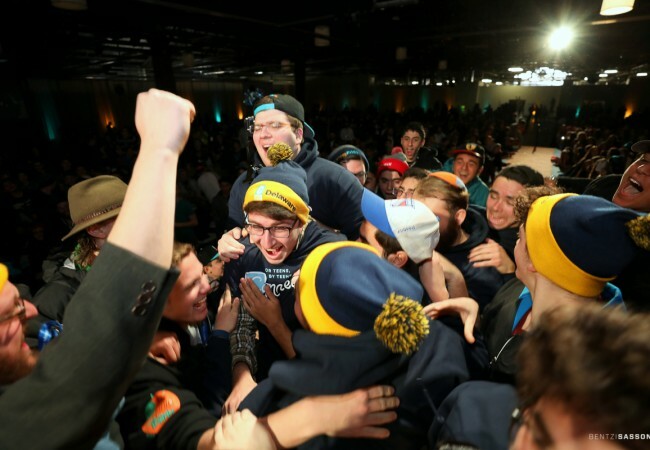 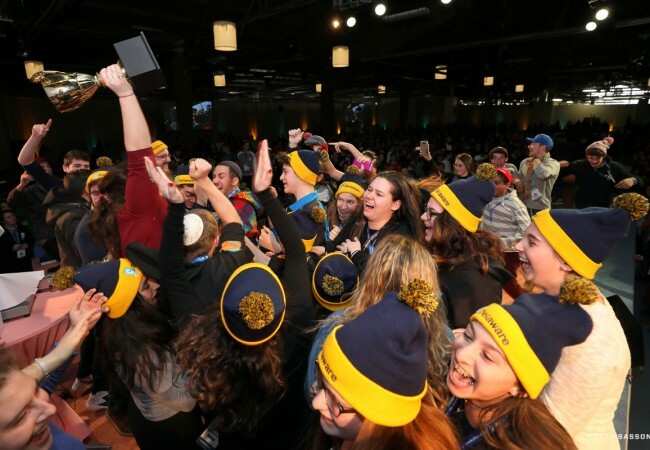 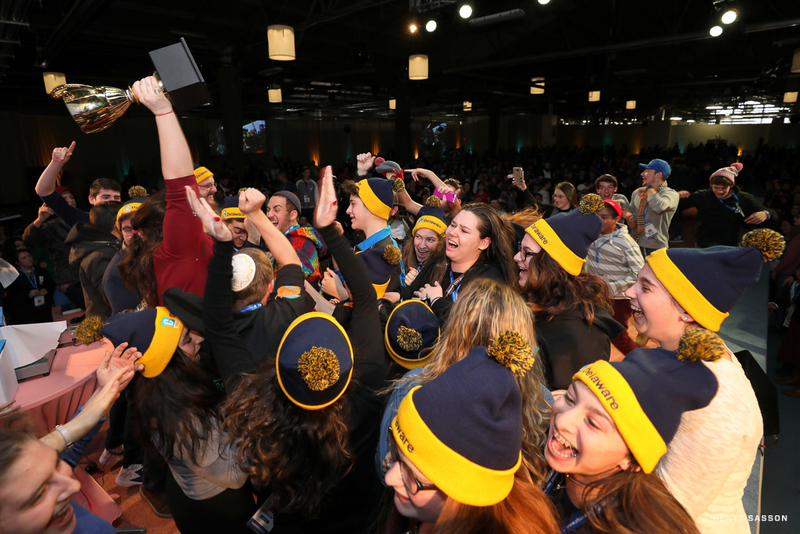 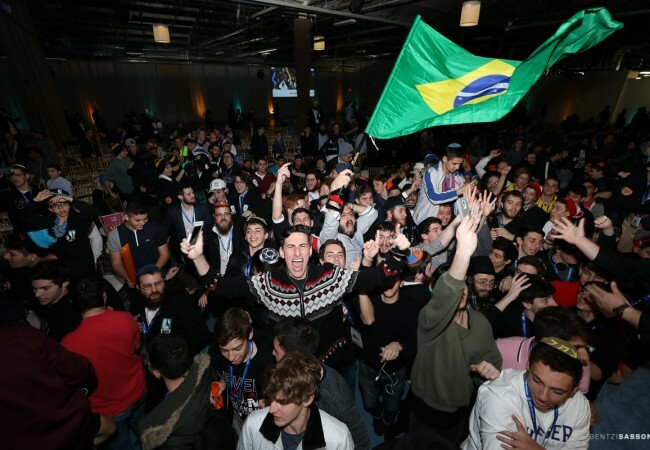 While it was a worry to many teens at the beginning of the weekend, they soon realized the power of connection and friendships that can and were forged in such an environment. 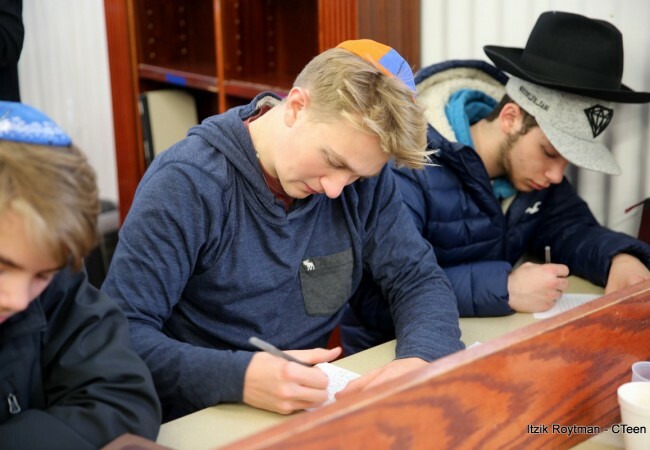 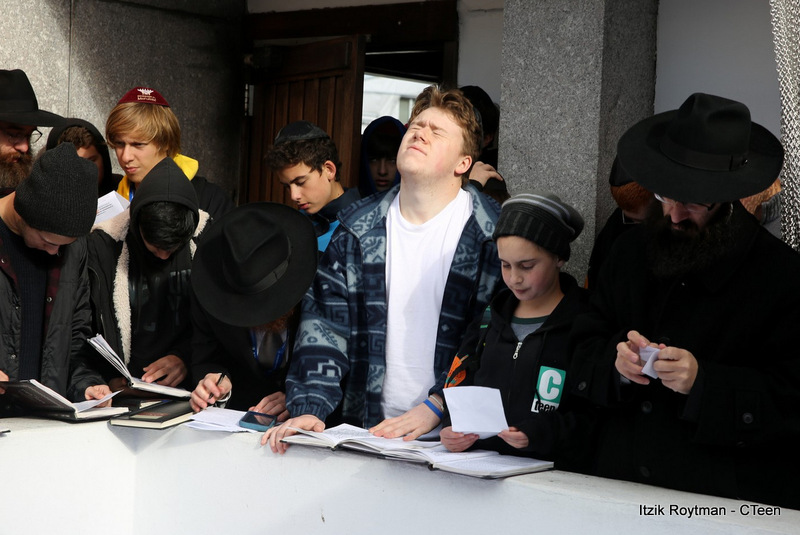 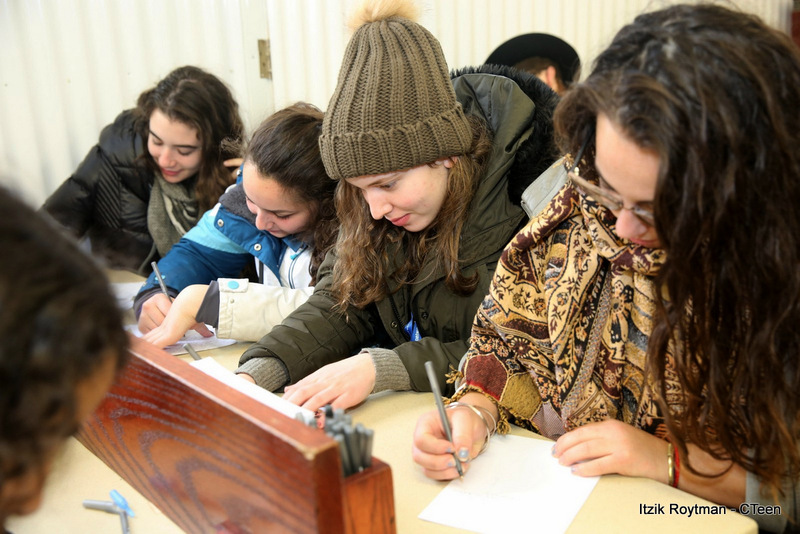 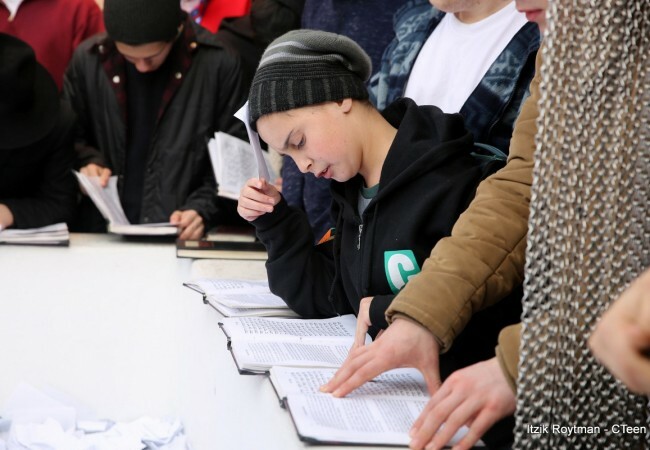 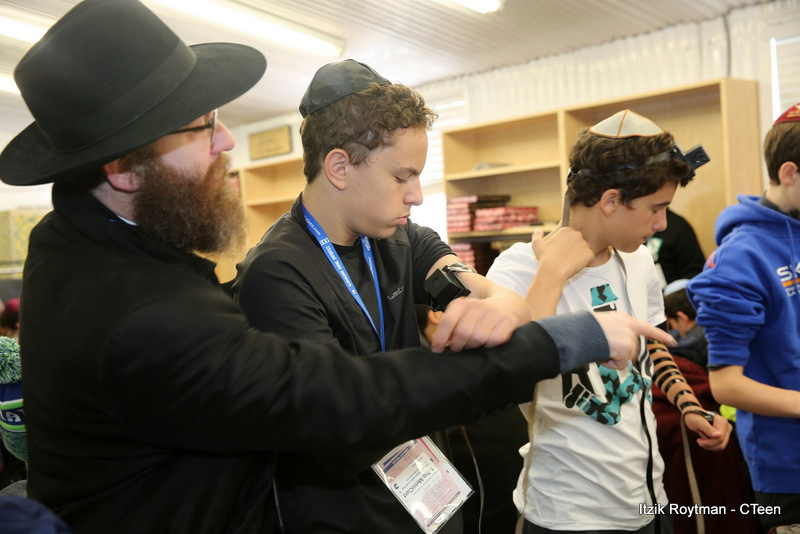 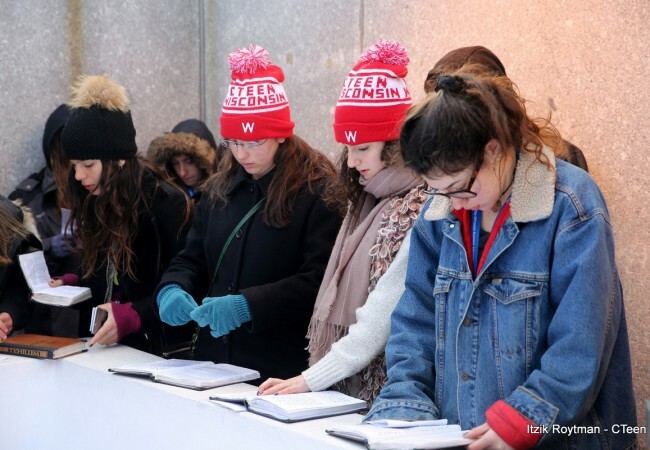 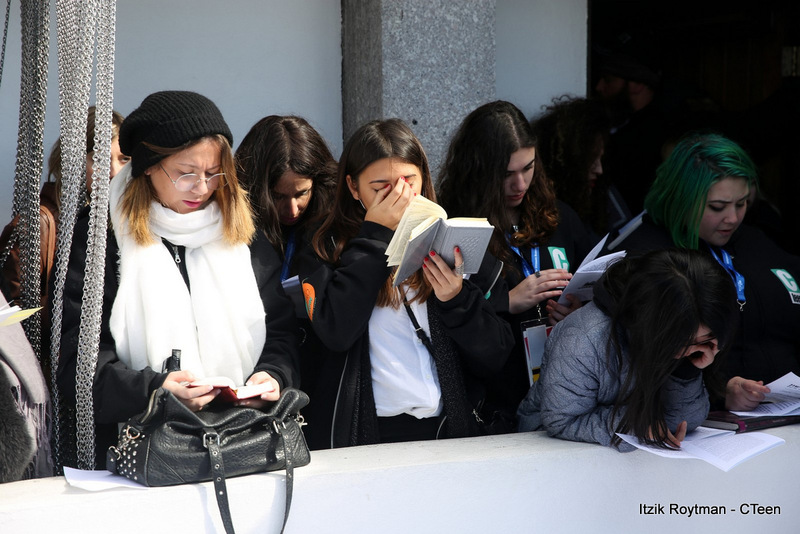 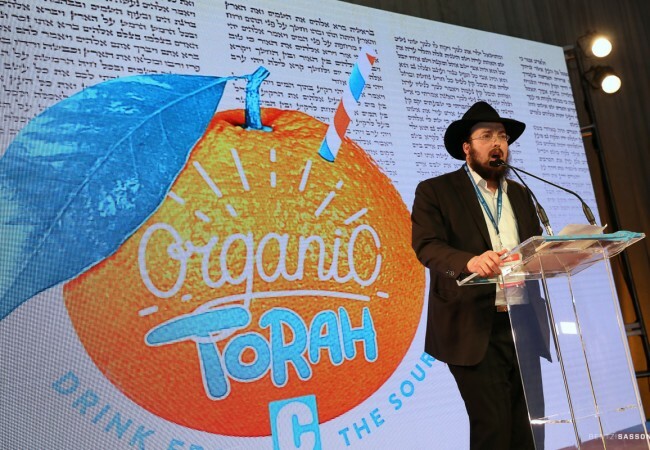 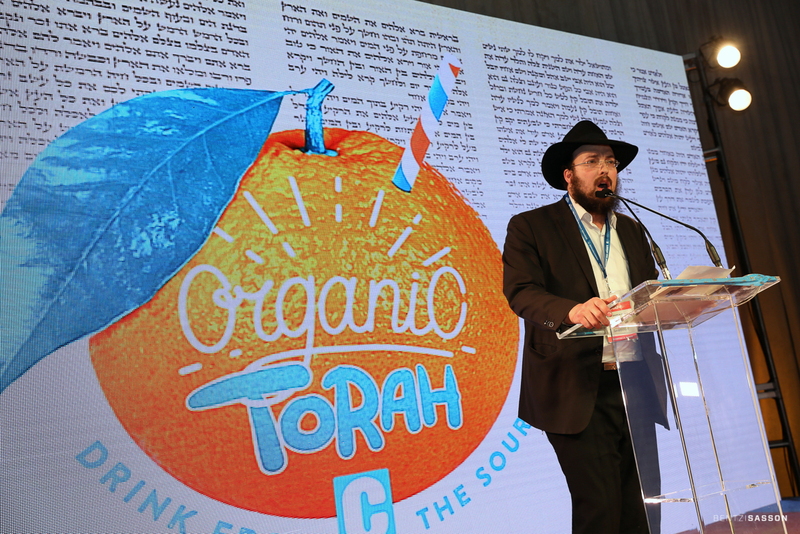 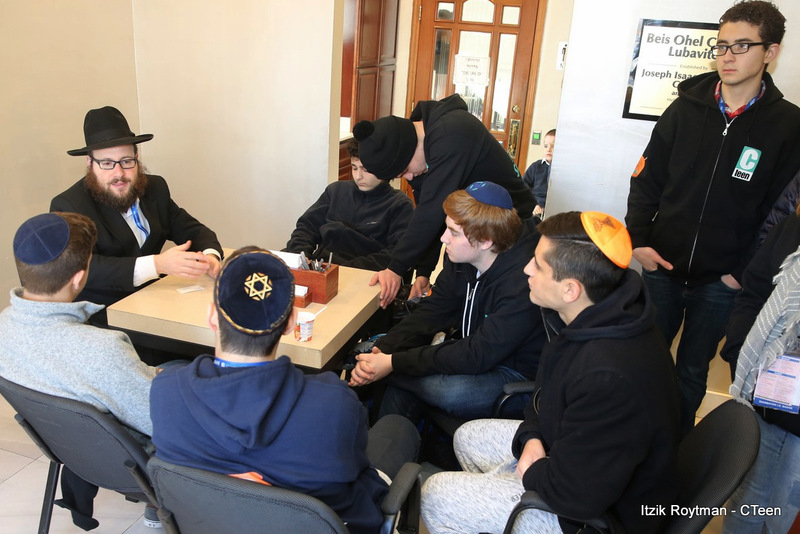 The theme of this year’s Shabbaton, Organic Torah—Torah from the source in the most raw and authentic way—was felt strongly and resounded throughout the weekend as teens took the time to connect themselves to their heritage and Jewish lineage. 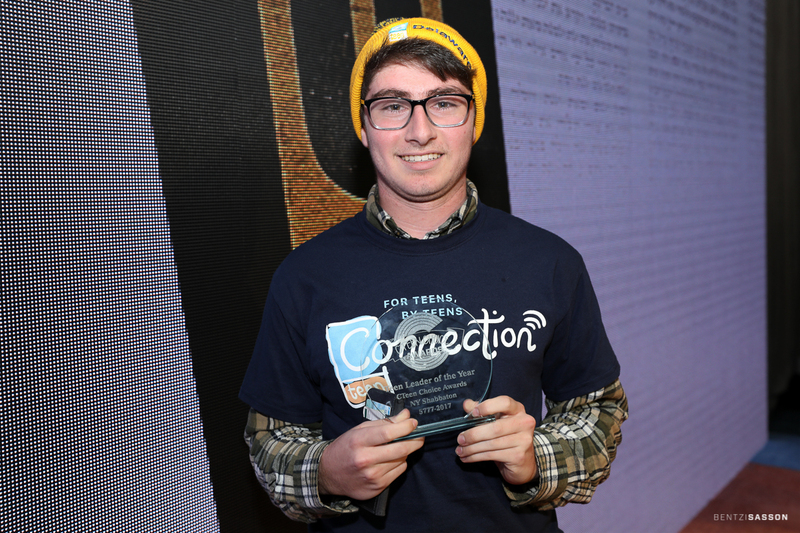 “CTeen is a place to express Jewish pride, and meet people who share my religion. In a suburban town, it can be difficult to publicly express religious pride. 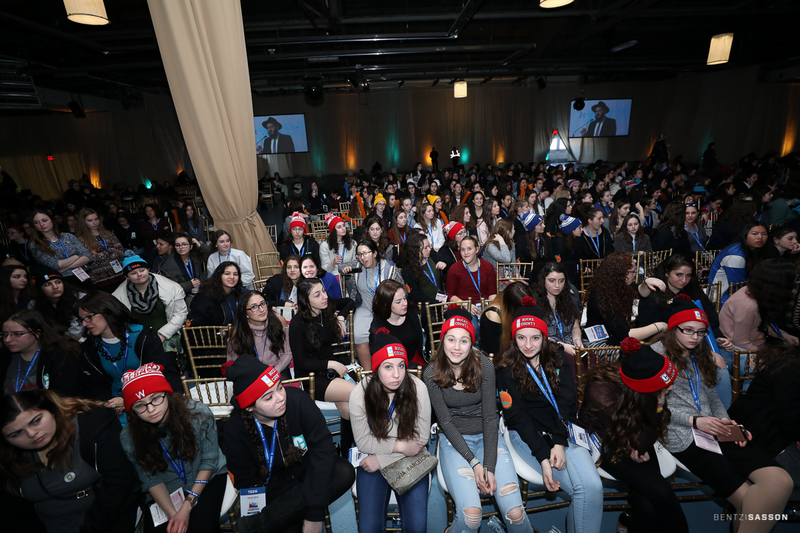 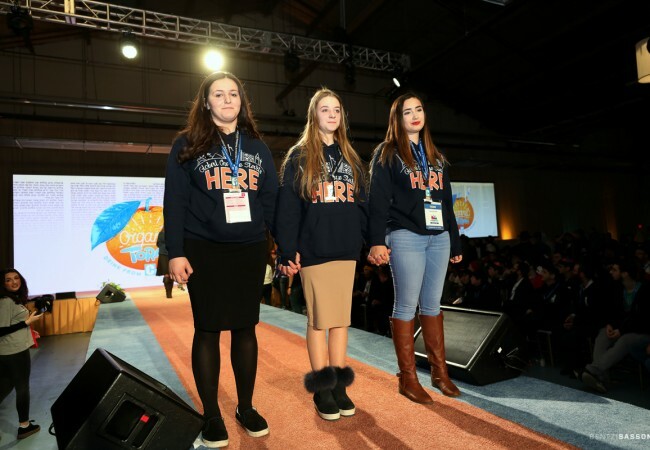 The religious freedom I experienced here was unbelievable,” share Elissa Bandler from CTeen Chapter of Manalapan, New Jersey. 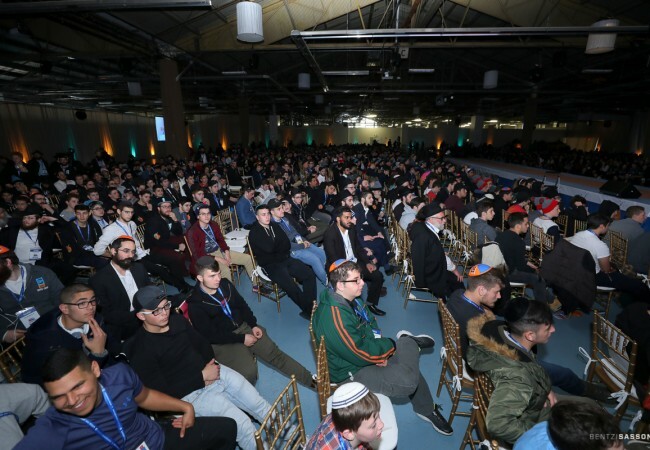 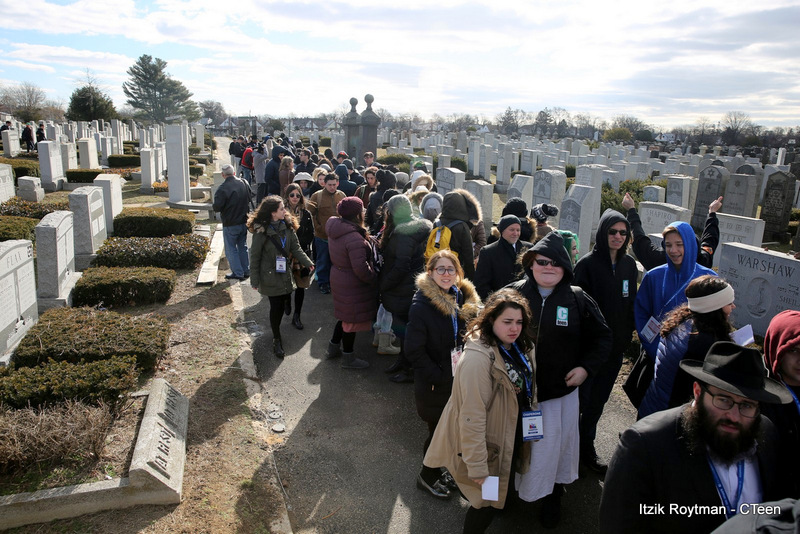 CTeen Headquarters would like to thank the residents of Crown Heights for graciously opening their homes to the thousands of participants who attended over the weekend.